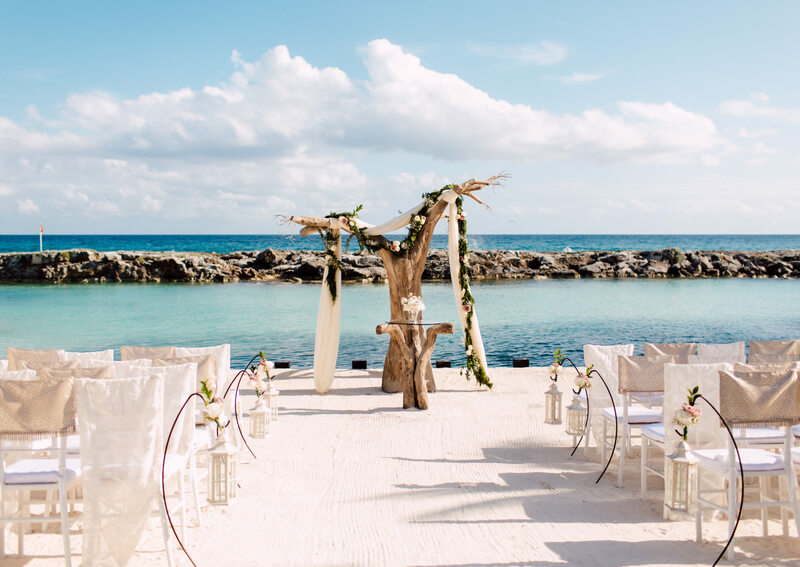 Along the stretch of the Carribean coast lay a beautiful tropical island, where a union was made under the sun, open sky, and palm trees. 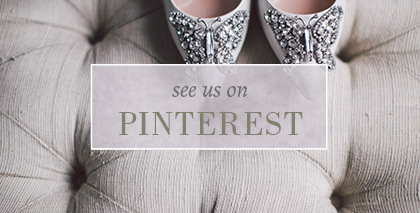 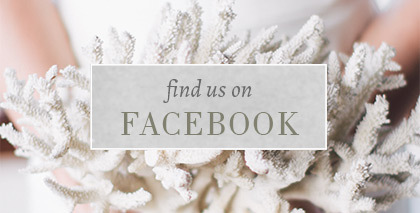 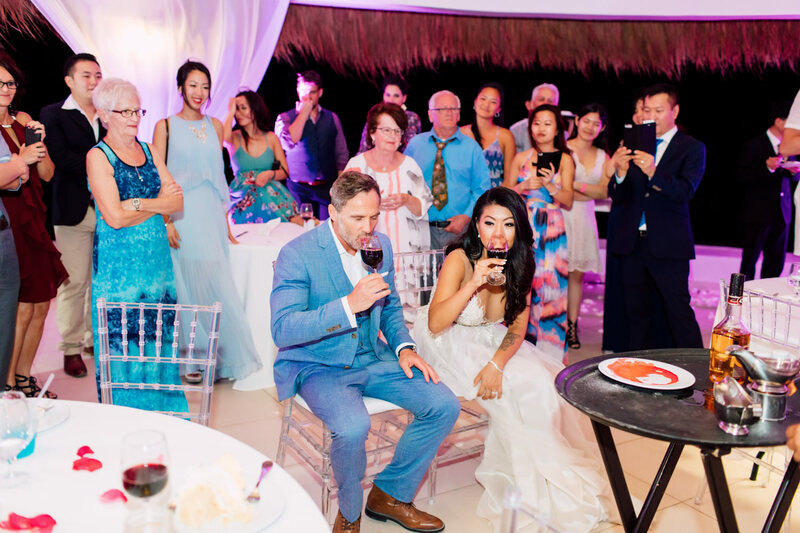 Yan and Sylvain wanted a fuss-free wedding. 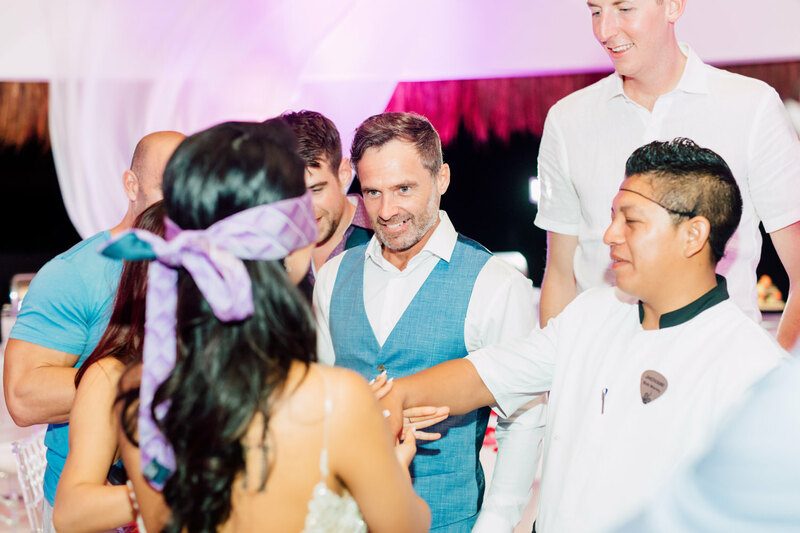 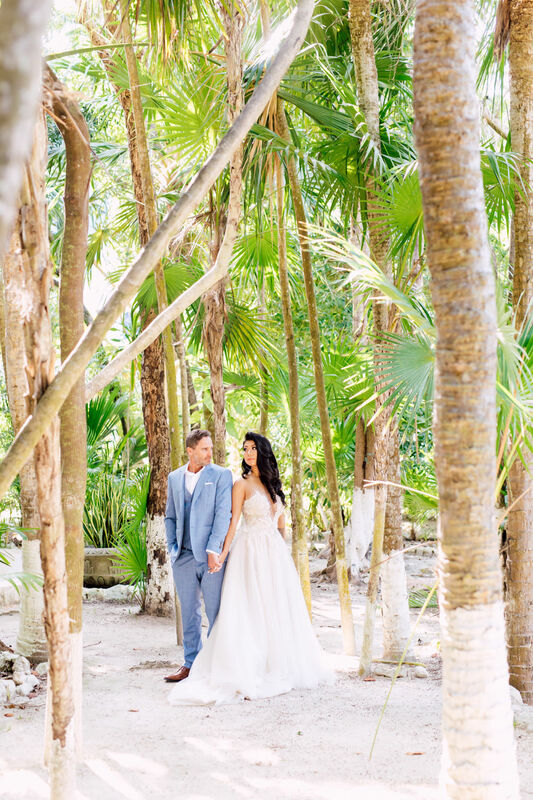 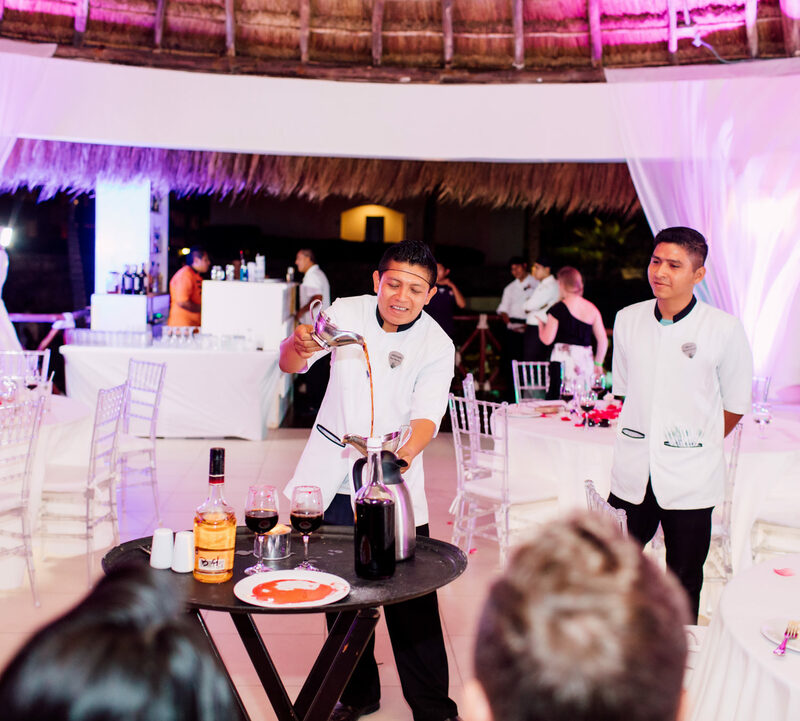 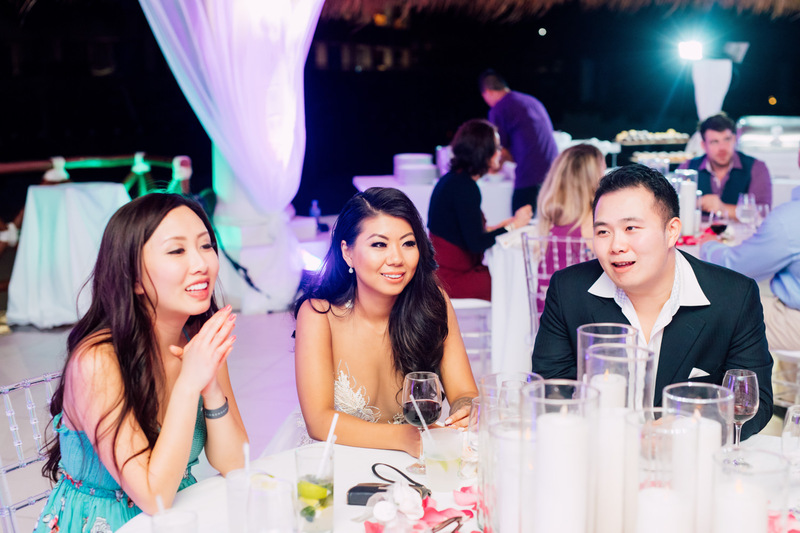 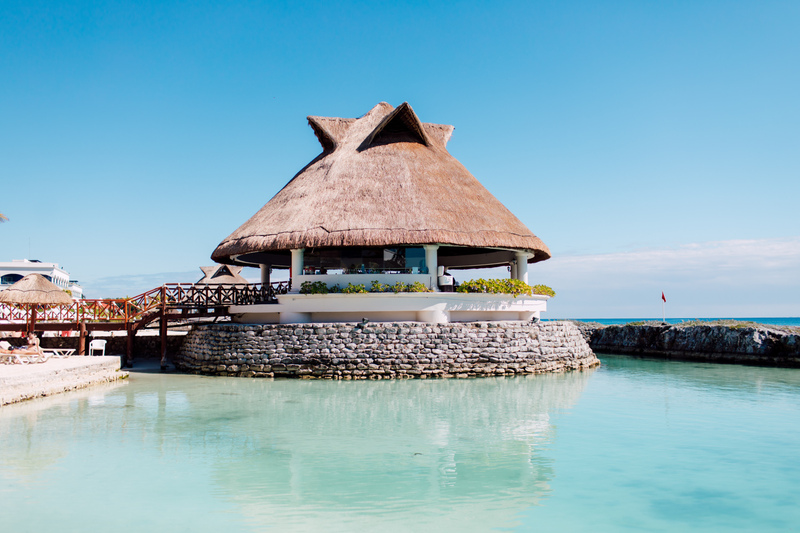 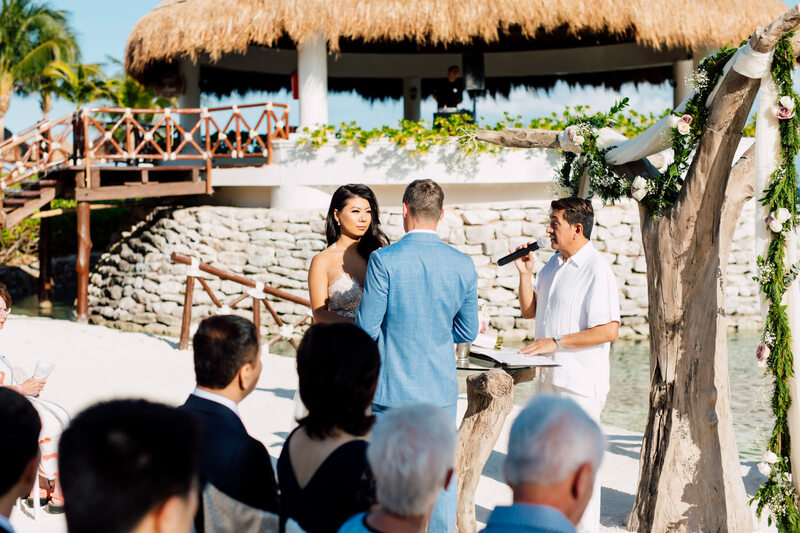 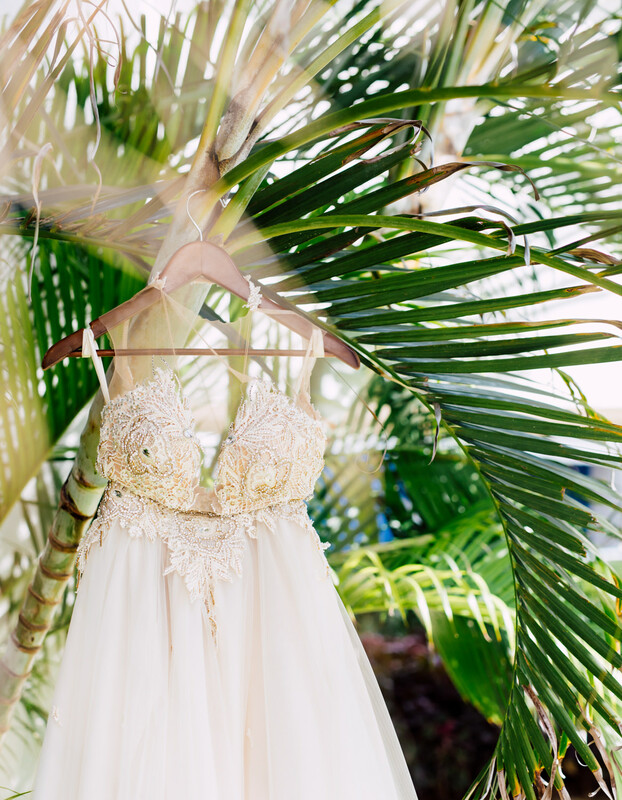 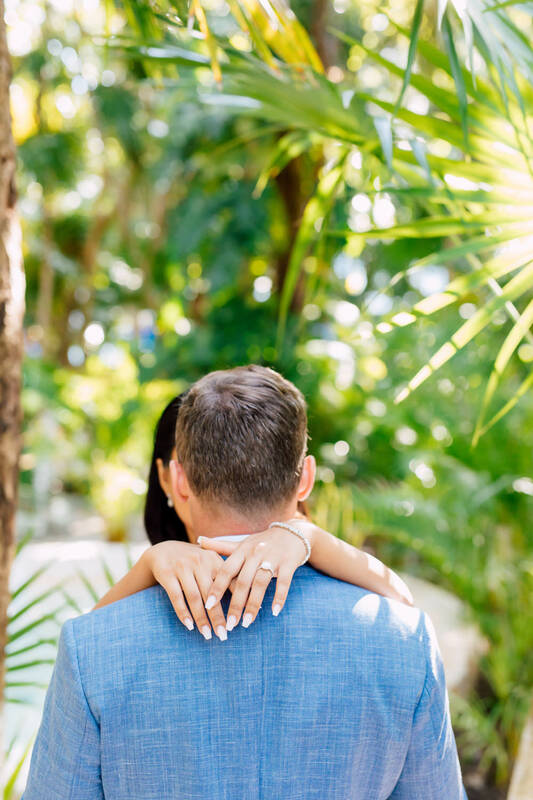 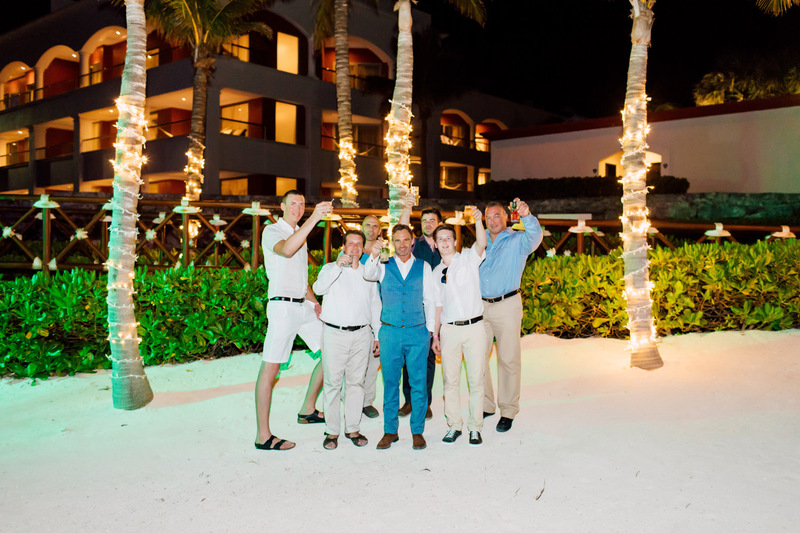 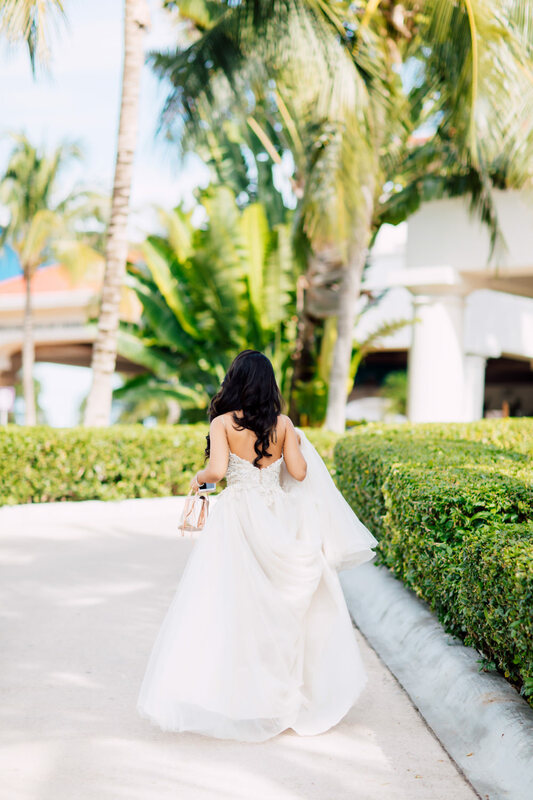 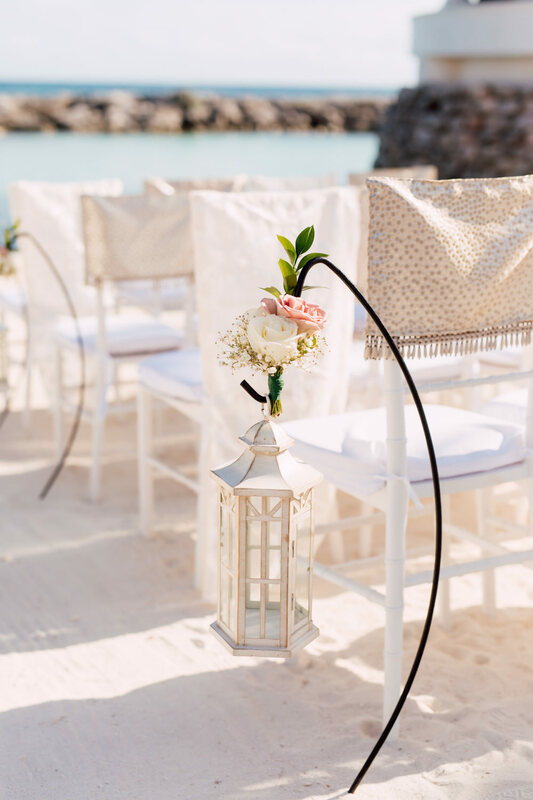 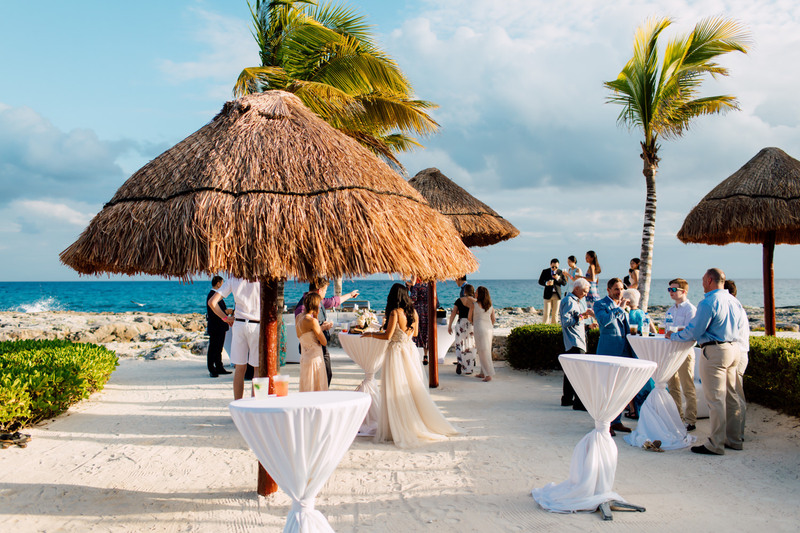 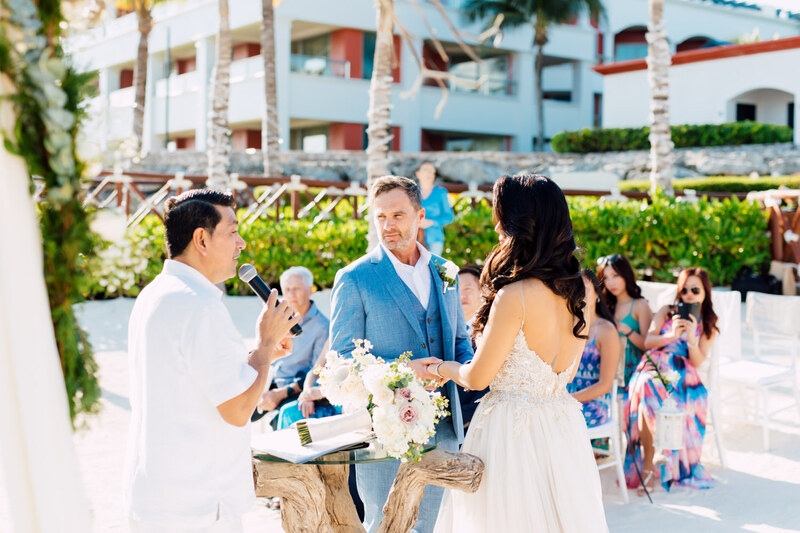 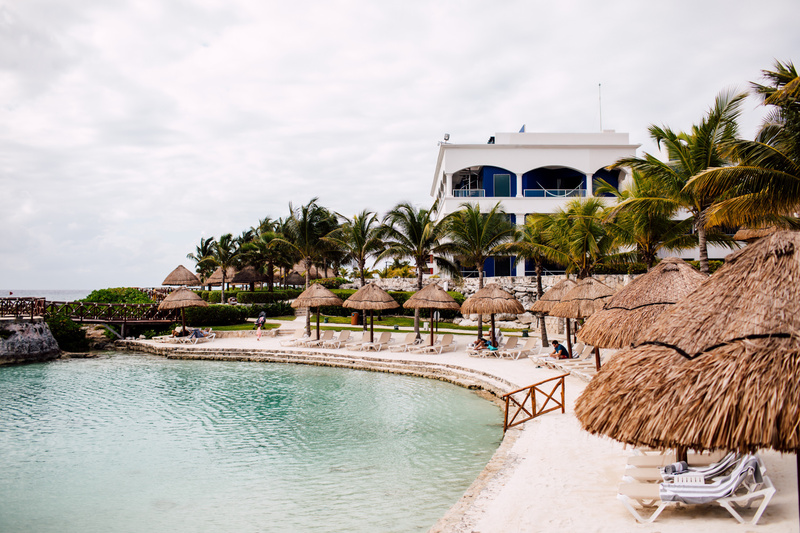 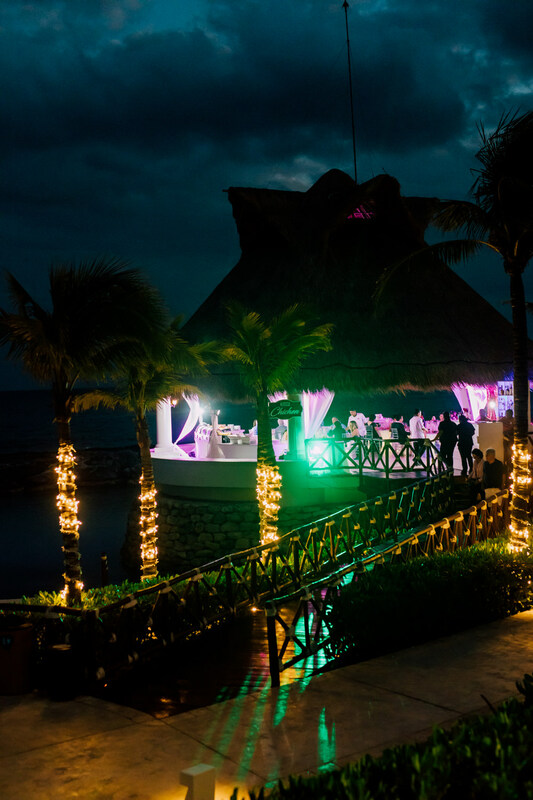 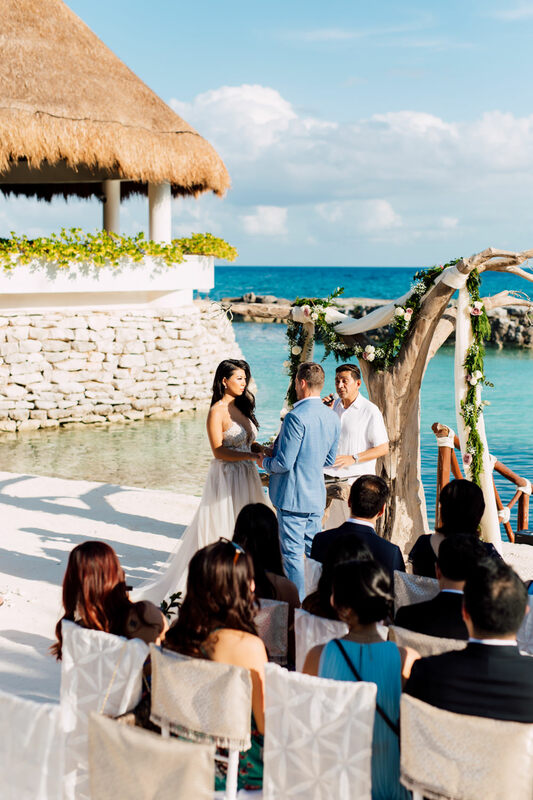 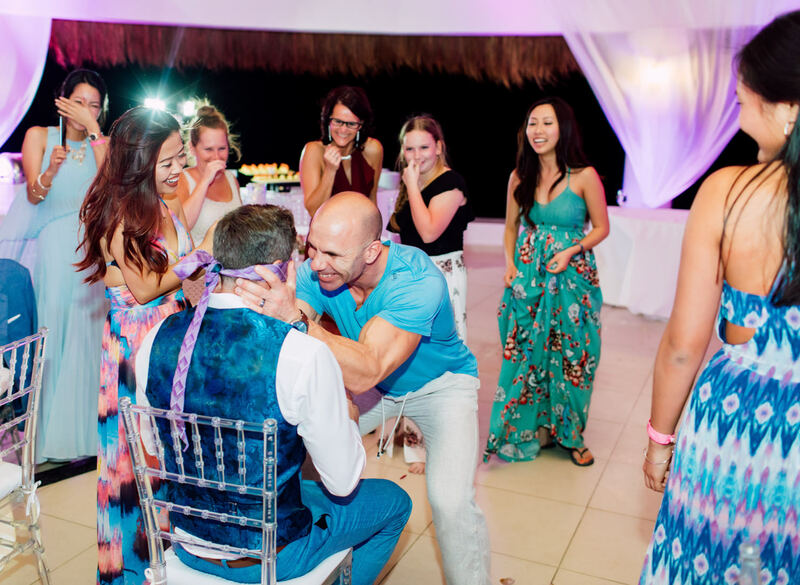 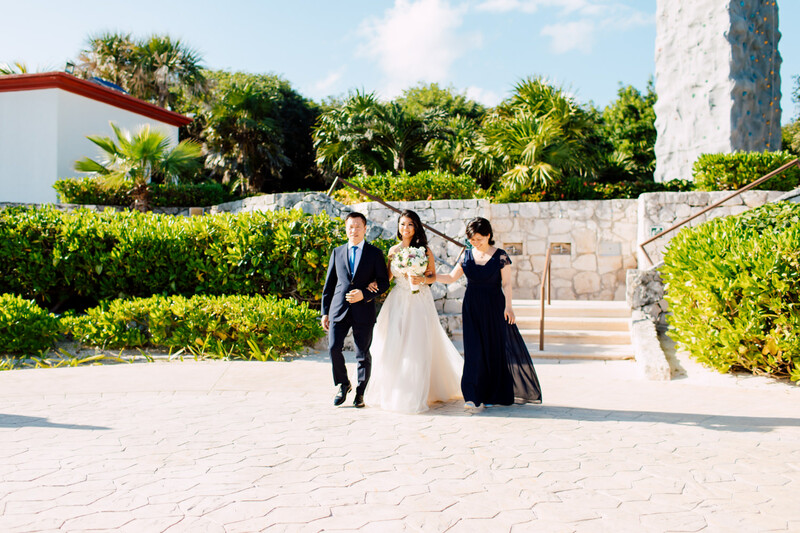 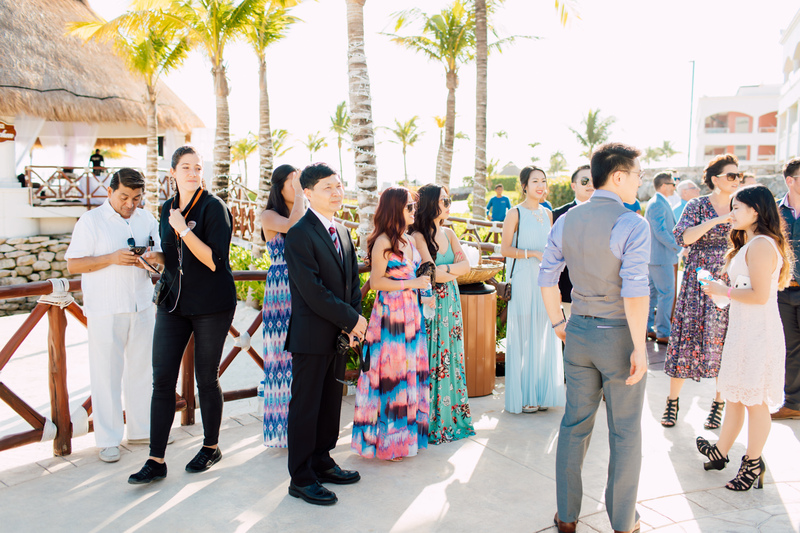 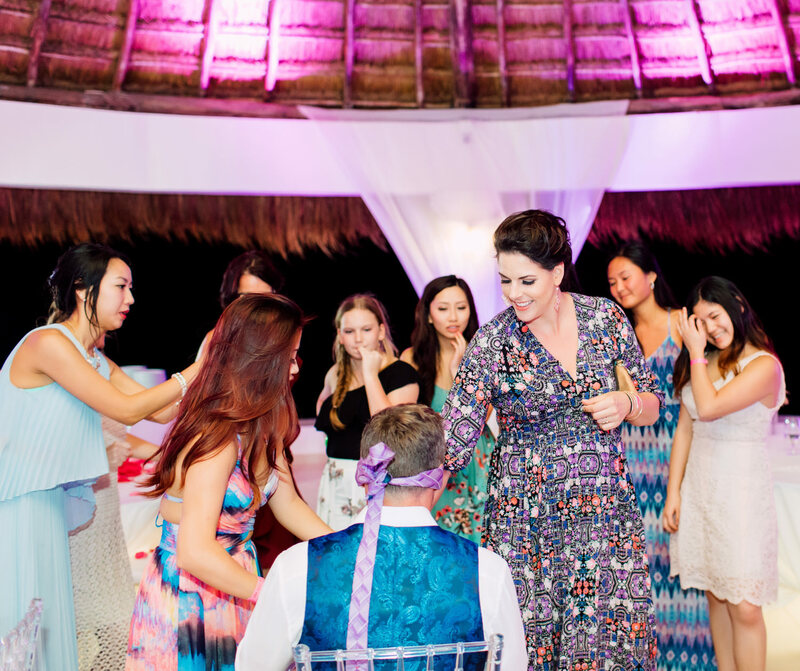 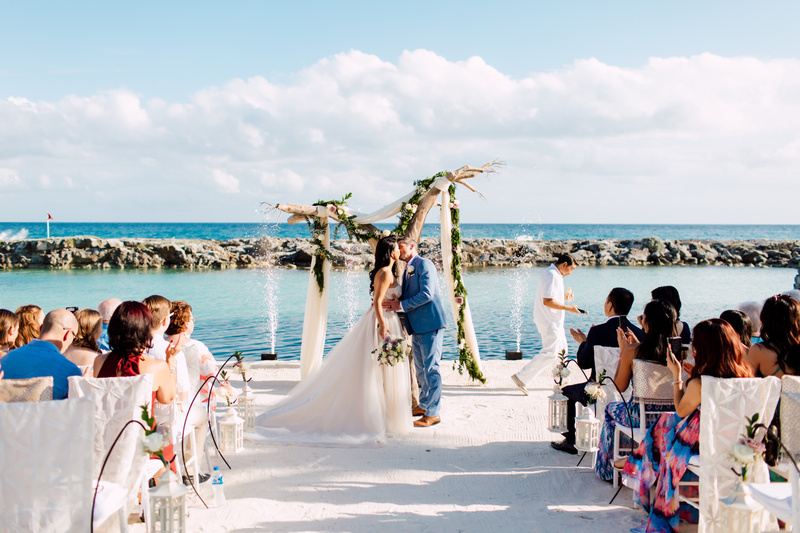 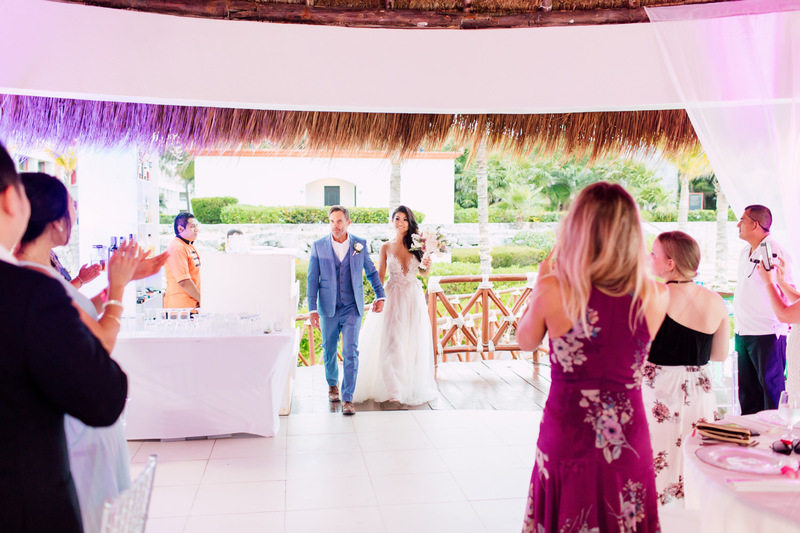 They had simply wished to get away from the harsh blows of winter, and decided to get married in the tropical paradise that is Riviera Maya, Mexico. 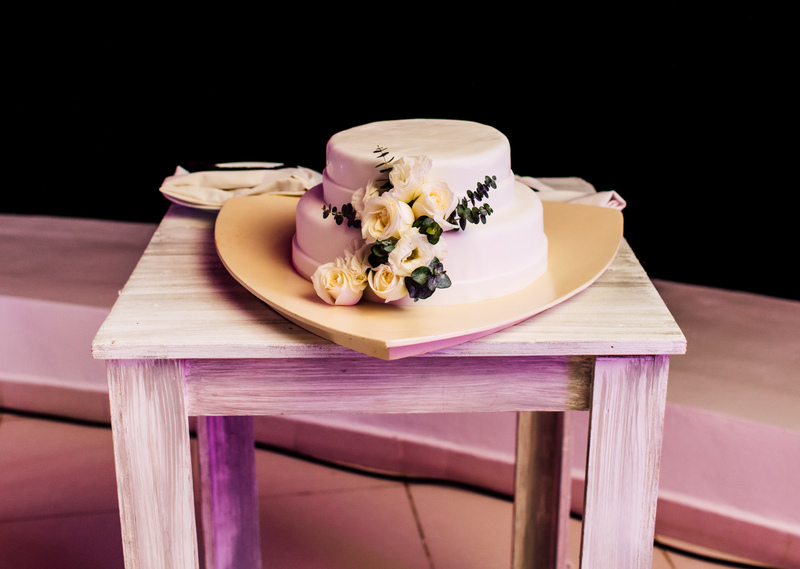 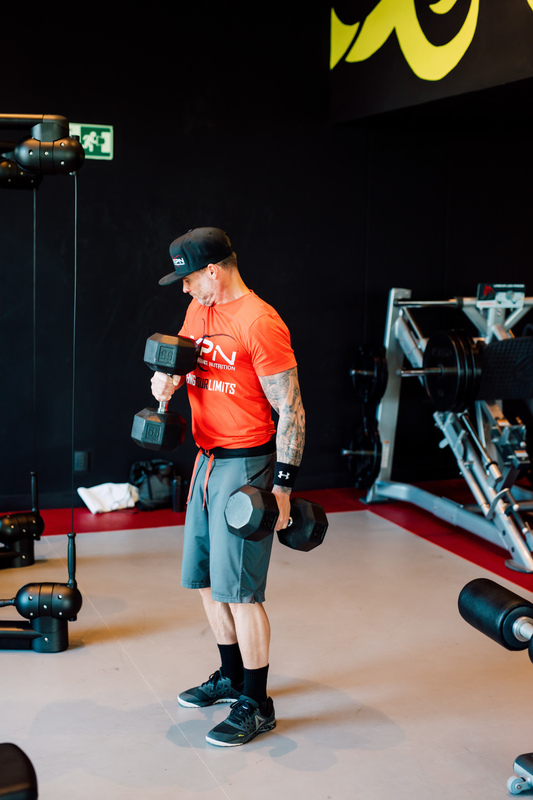 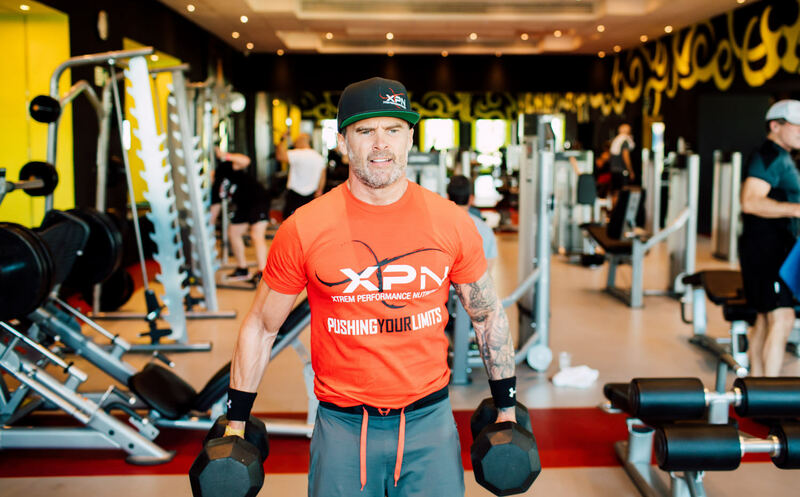 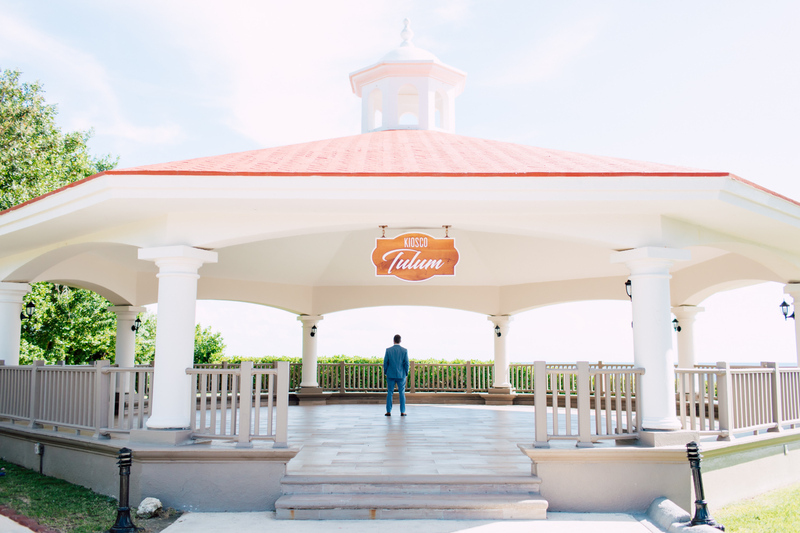 Aiming for a very simple yet memorable wedding, they unexpectedly managed to squeeze in a bit of workout in the morning of their wedding day as well. 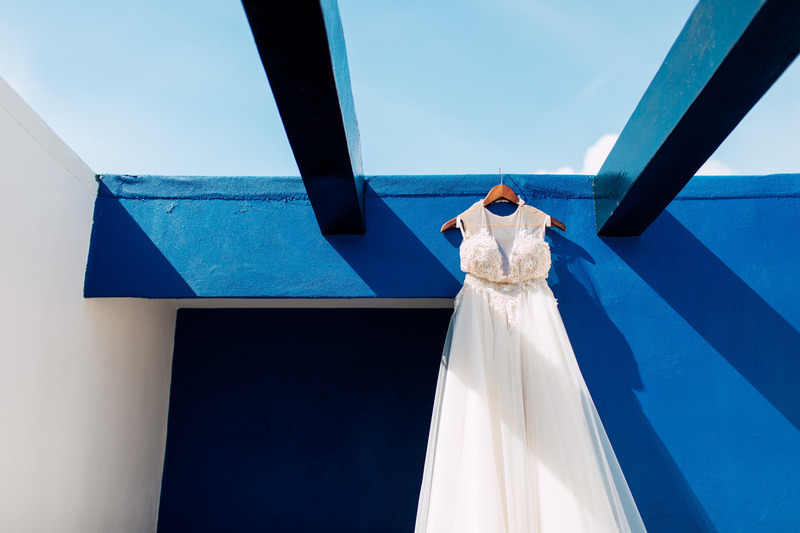 After all, what is the best day of your life if you’re not feeling like your best self? 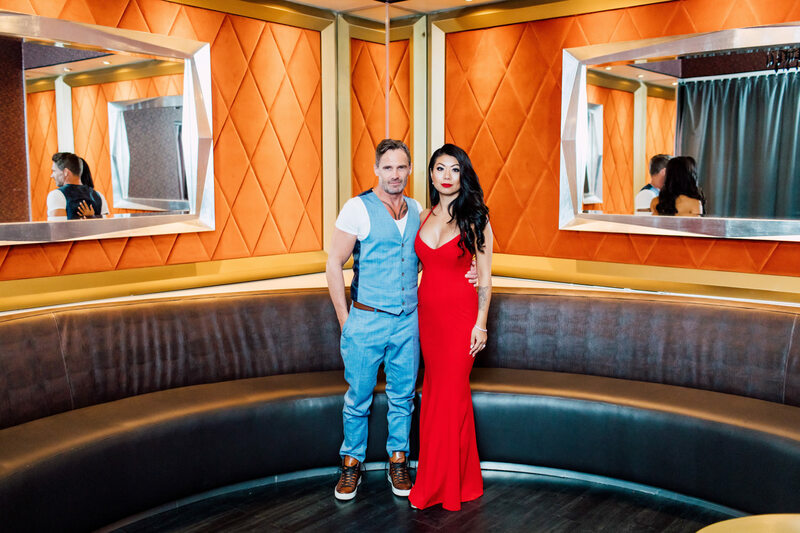 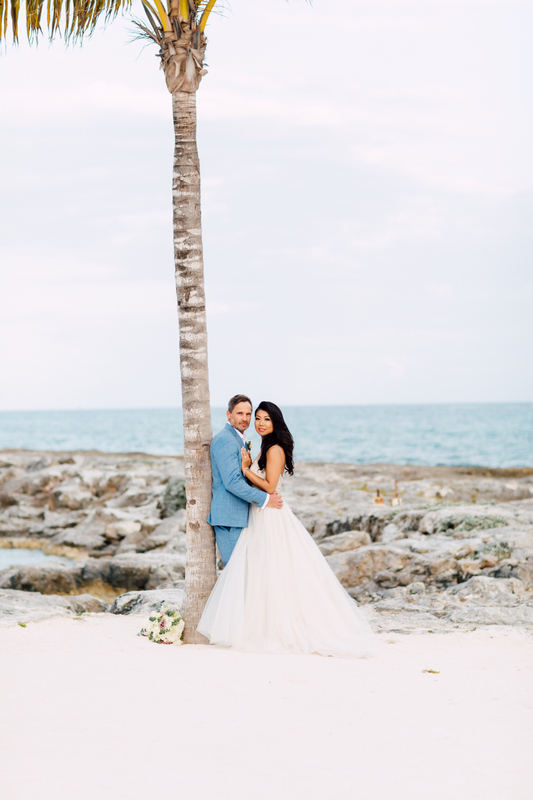 Yan and Sylvain was not the type of couple who liked dressing up too much, but as this day was very special – they gave us some looks that spoke of who they are as individuals and as a couple. 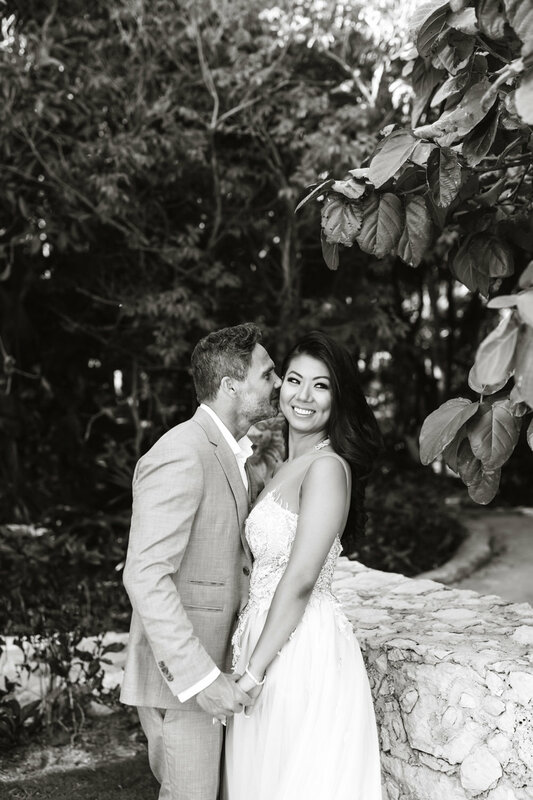 We took photos in the middle of tall palm trees, white sand, and the beach, and the results showed so much passion and love between the couple. 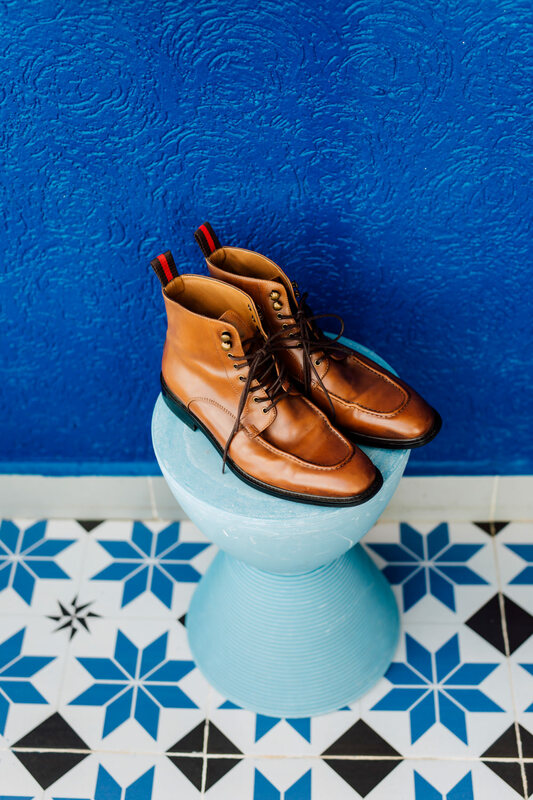 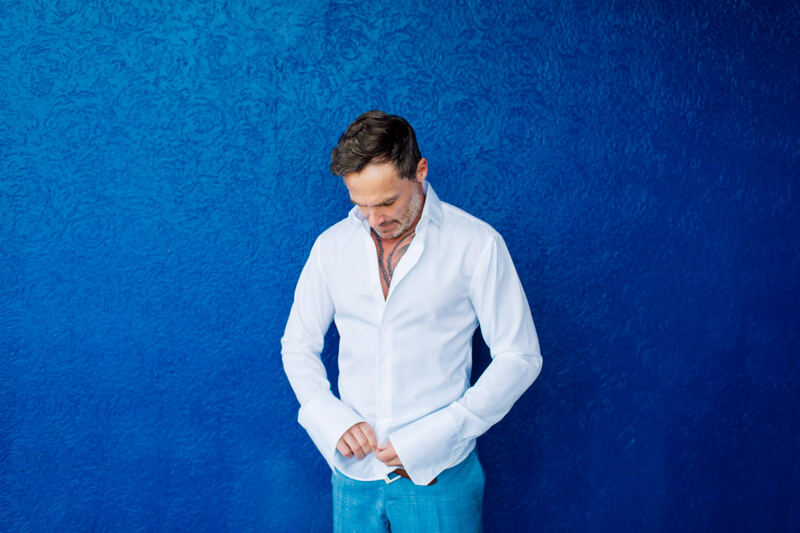 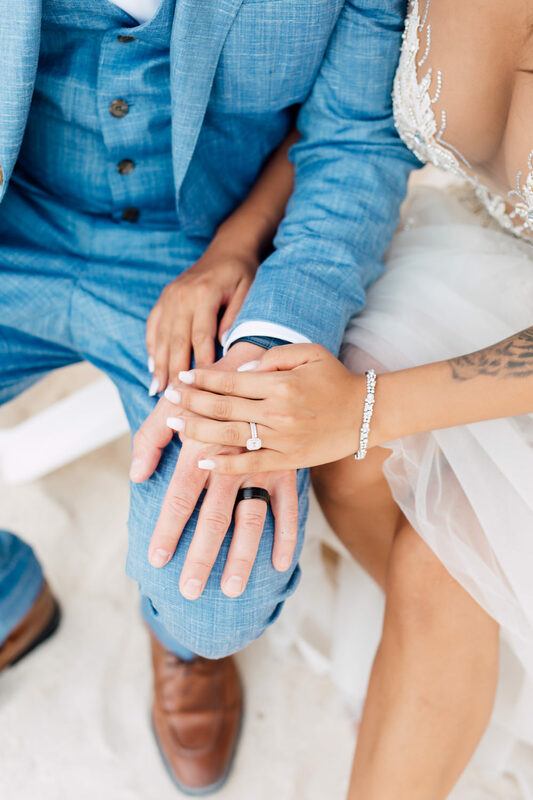 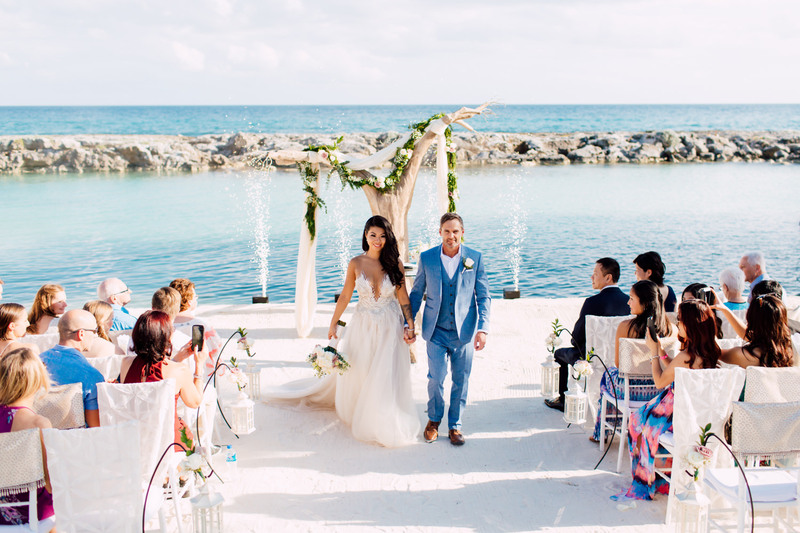 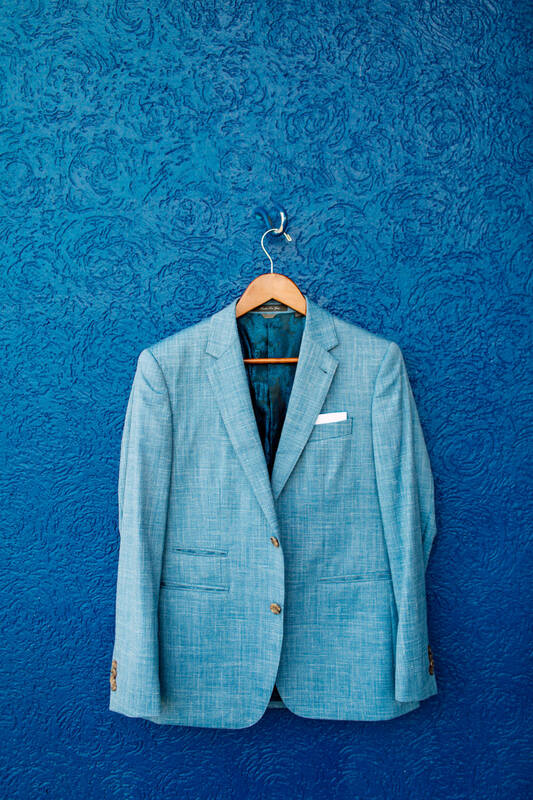 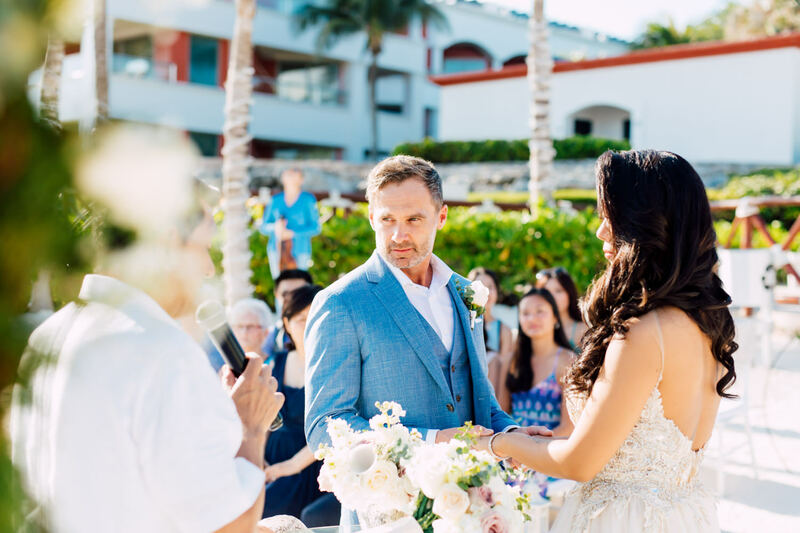 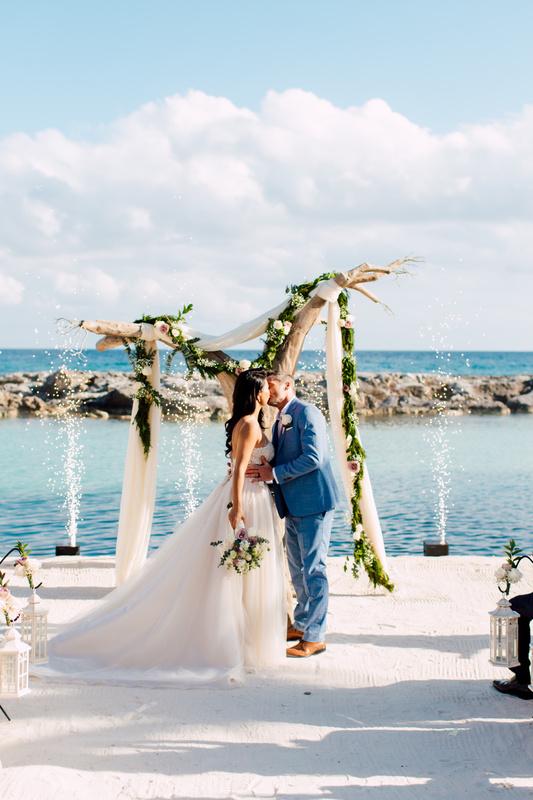 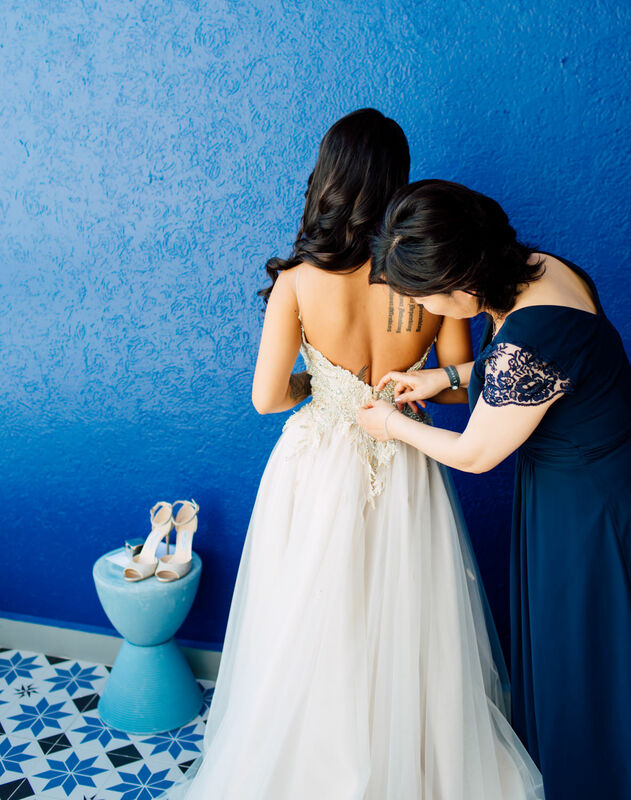 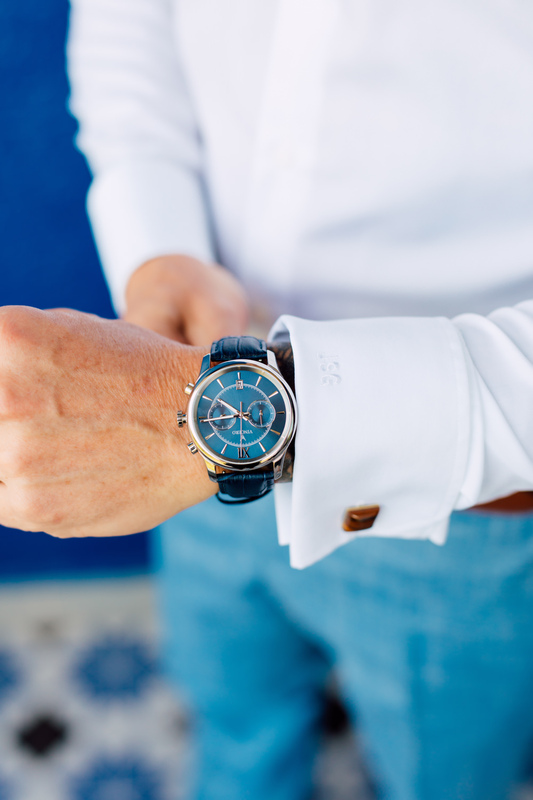 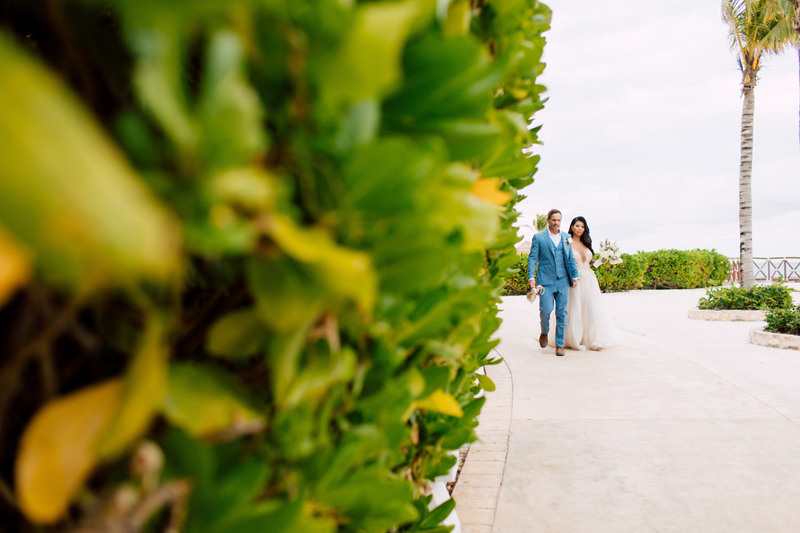 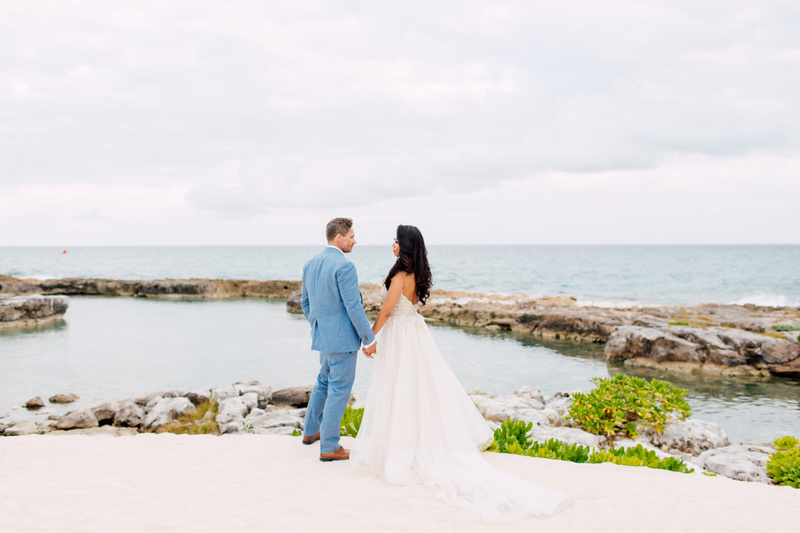 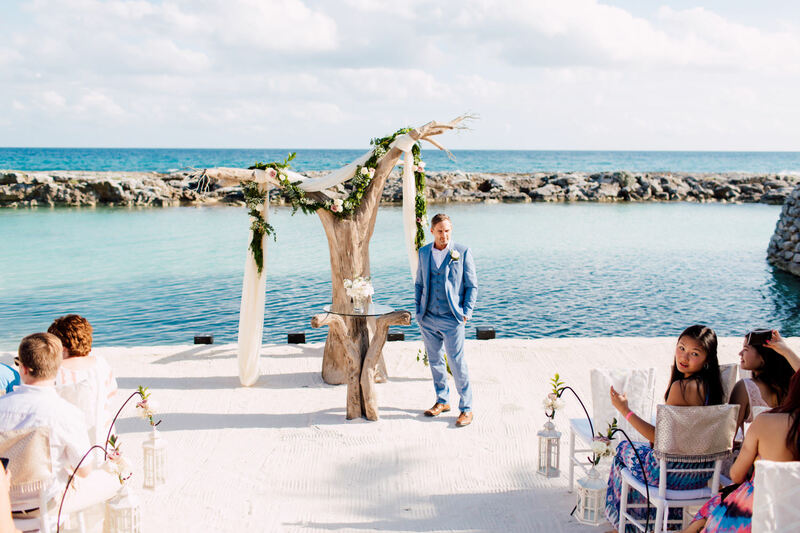 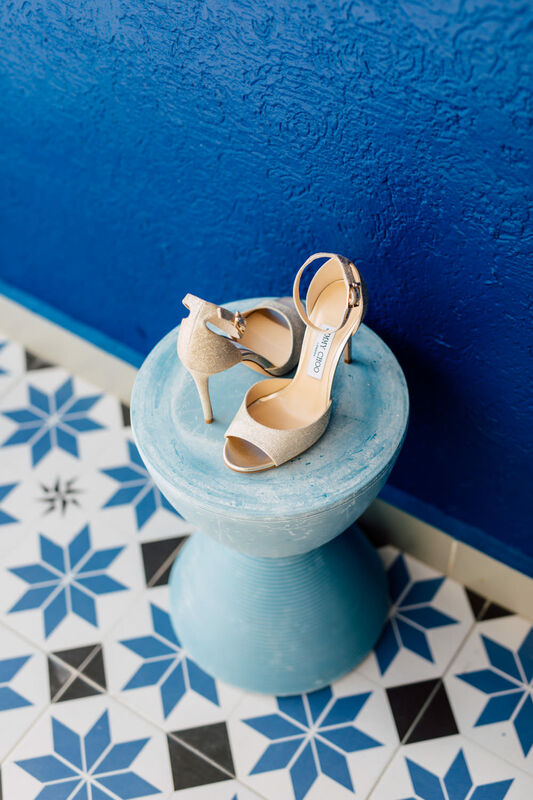 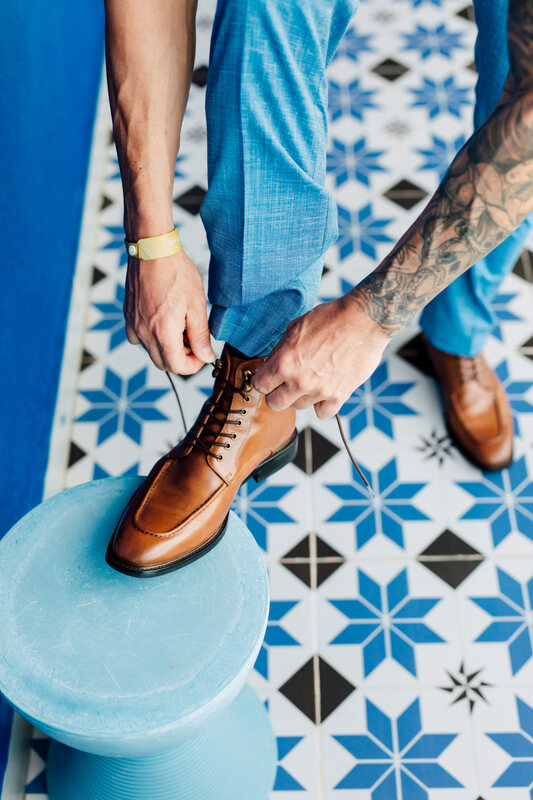 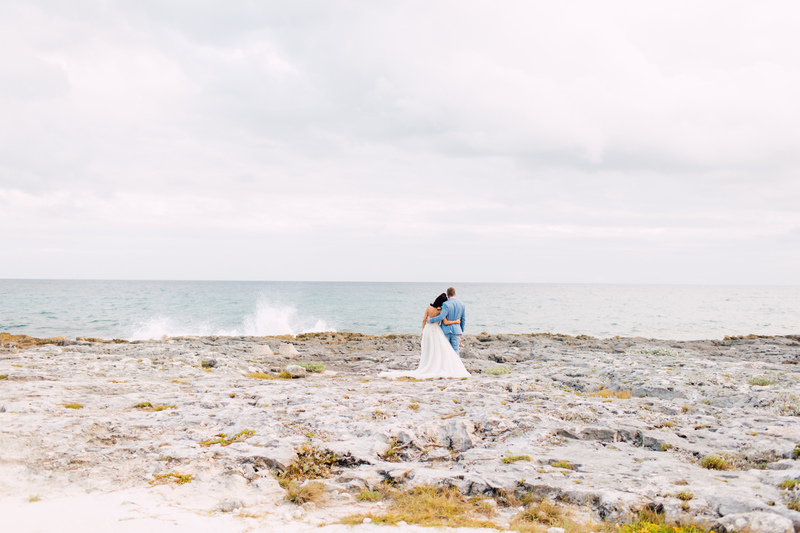 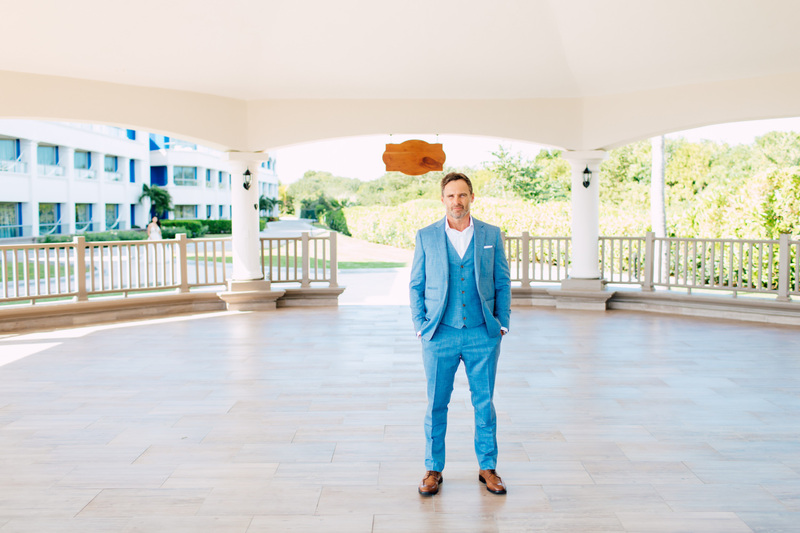 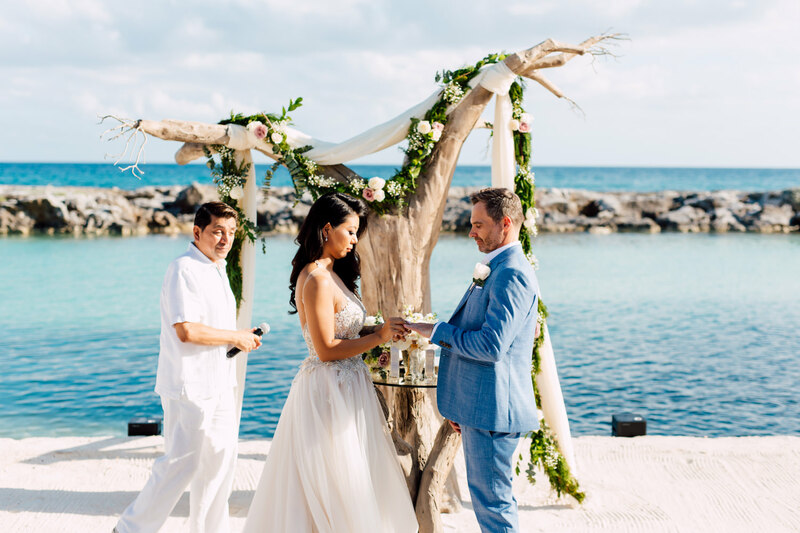 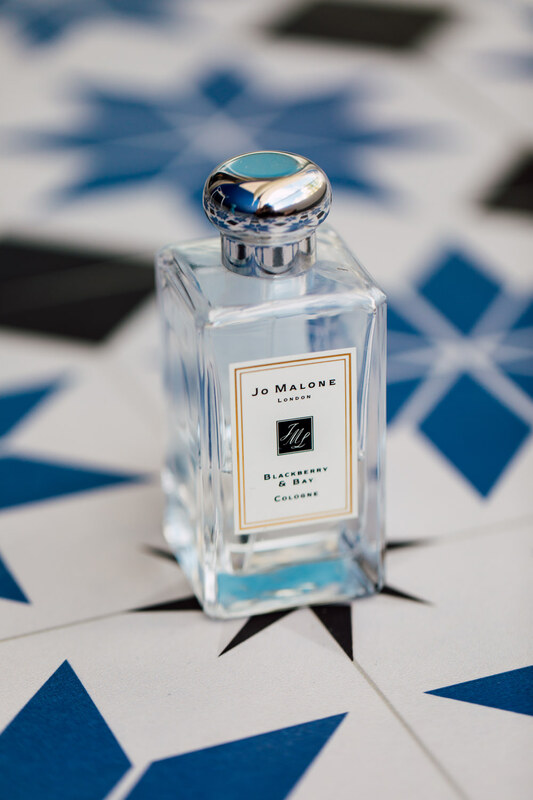 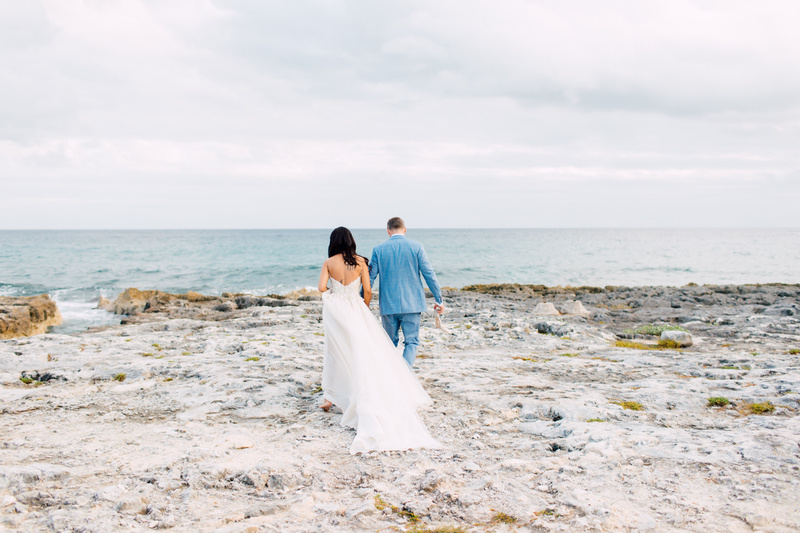 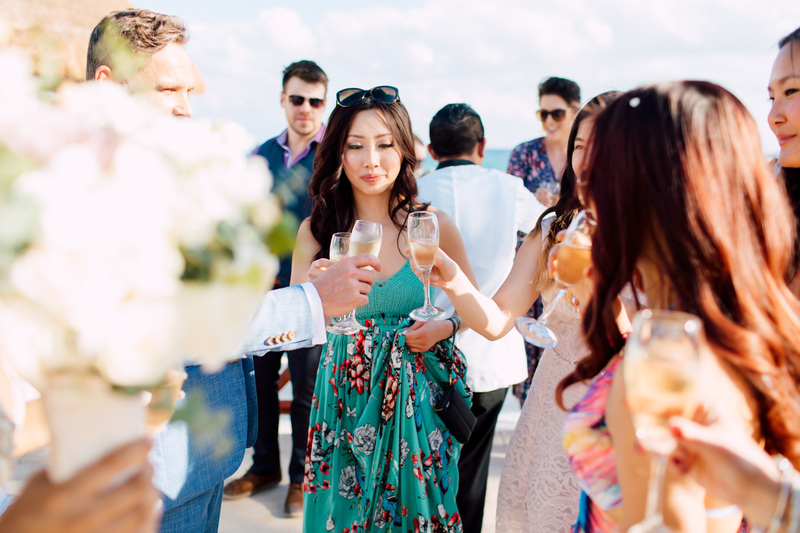 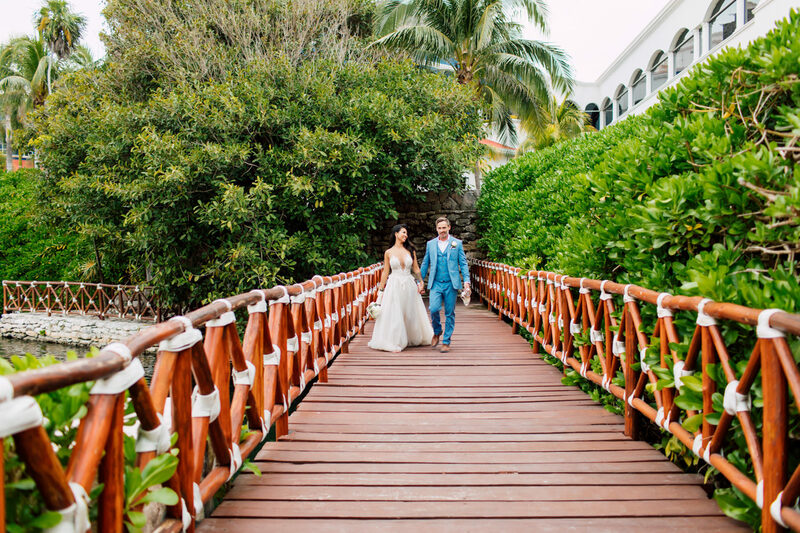 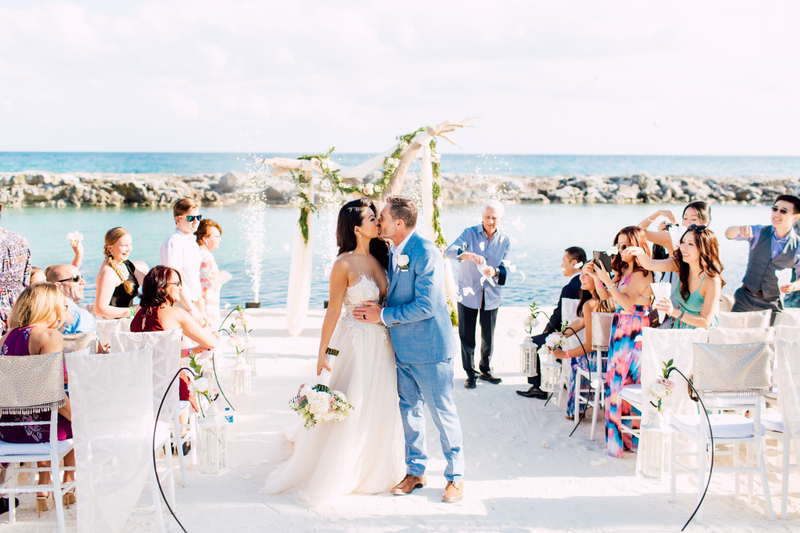 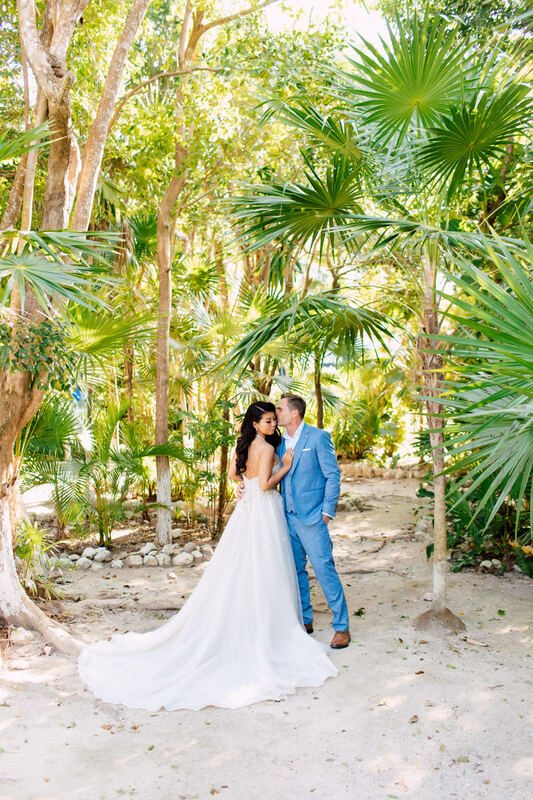 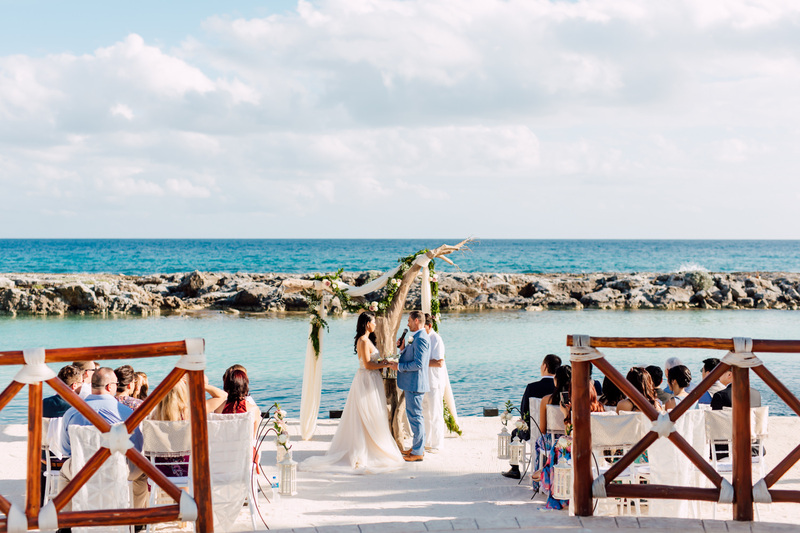 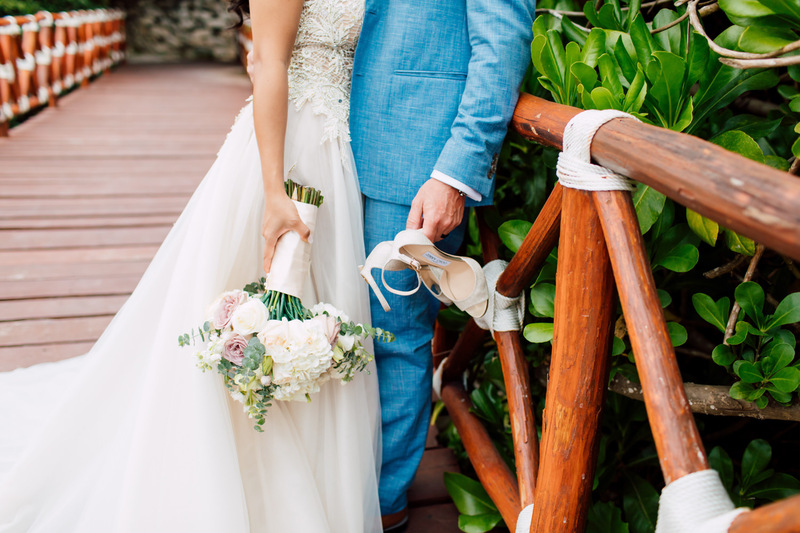 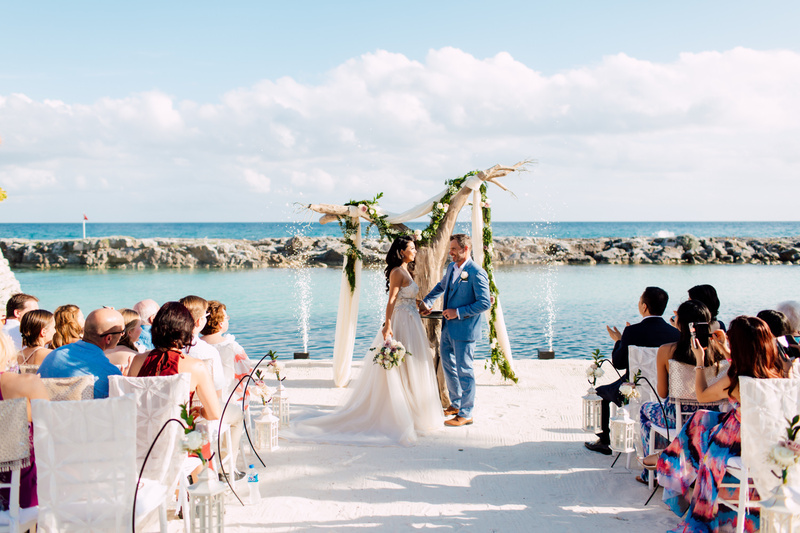 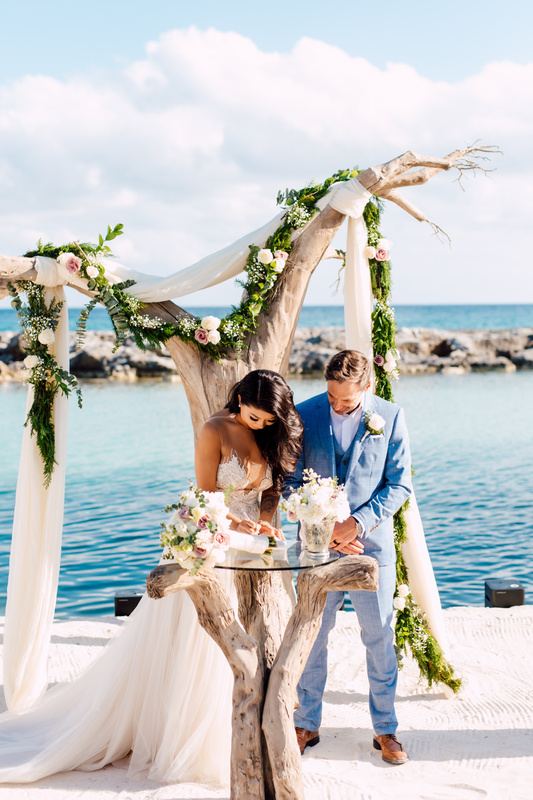 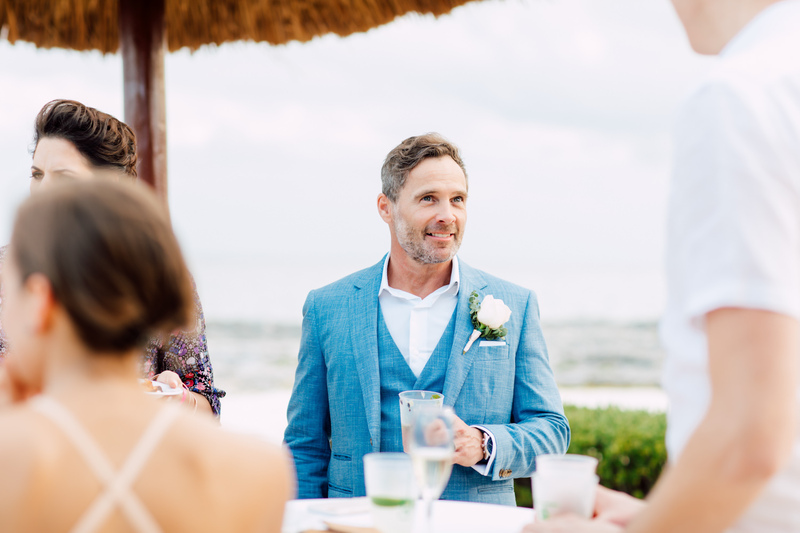 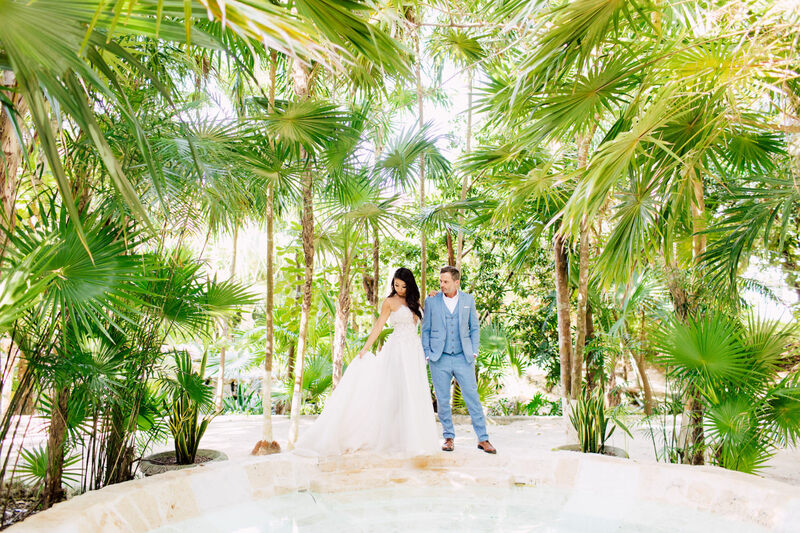 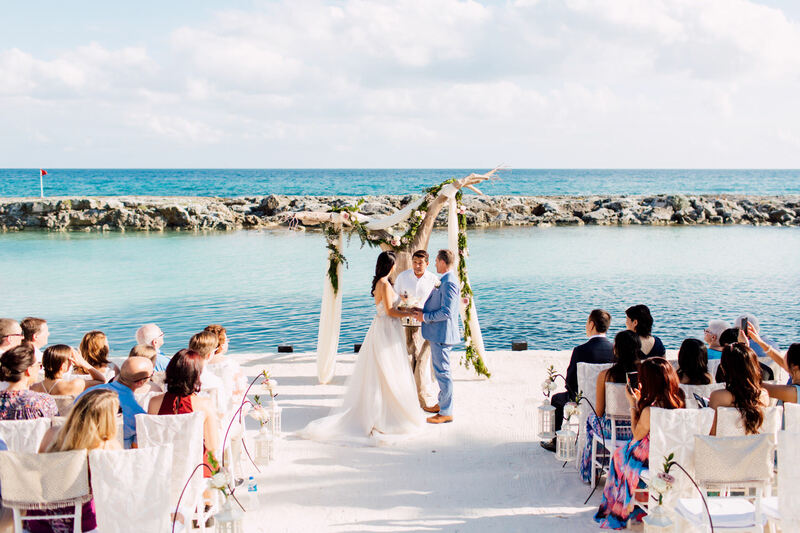 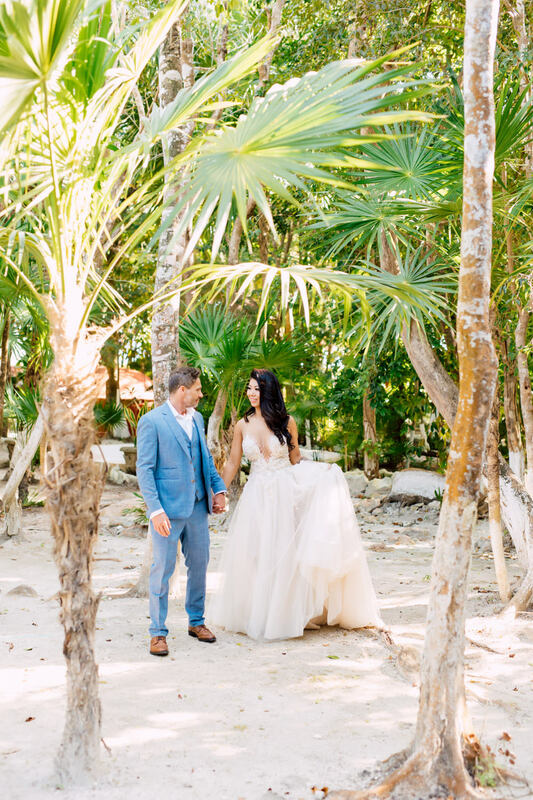 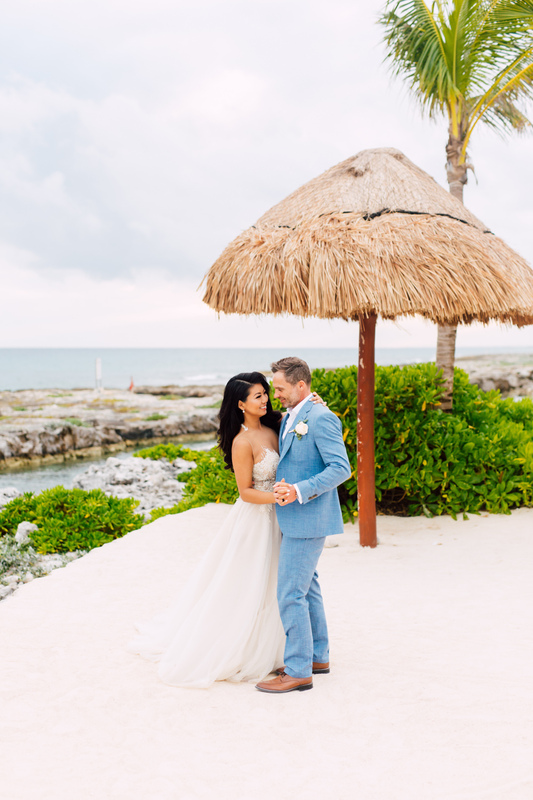 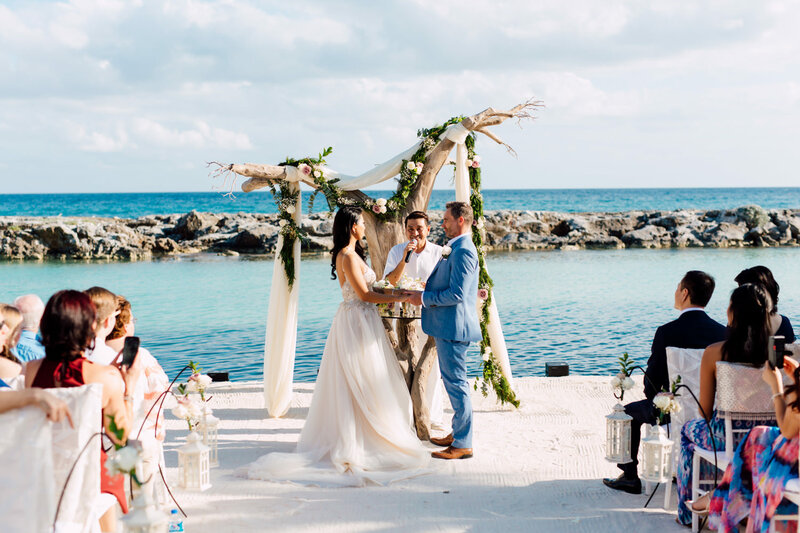 In perfect harmony with nature, the groom looked dashing as he rocked a light-blue tuxedo reminiscent of the pearly waters, while the bride wore the most sophisticated flowing dress that was carefully laced together. 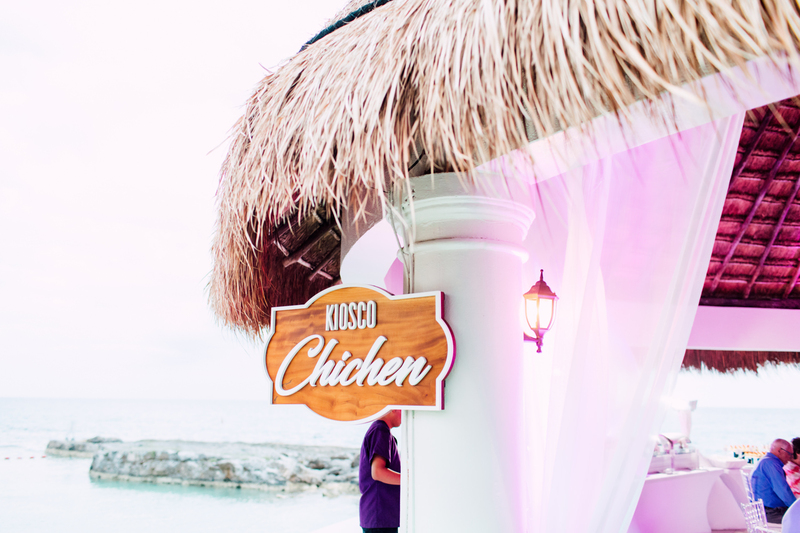 By some means, it reminded us of birds and their light feathers. 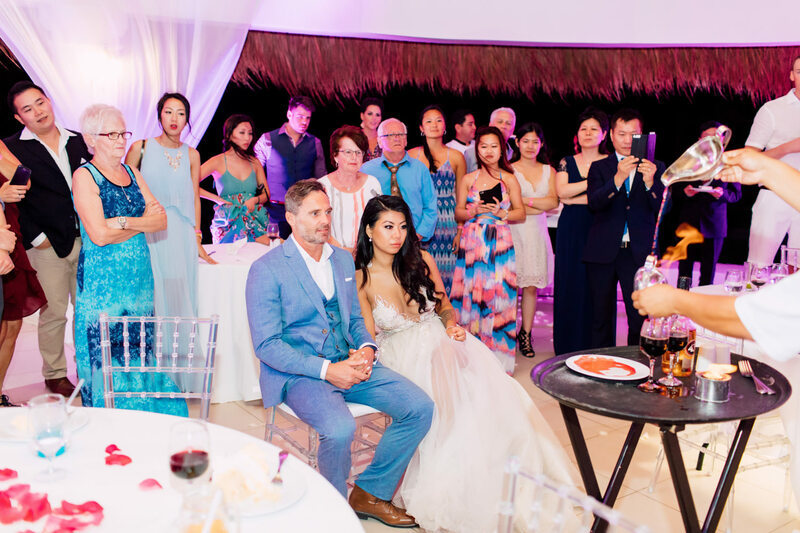 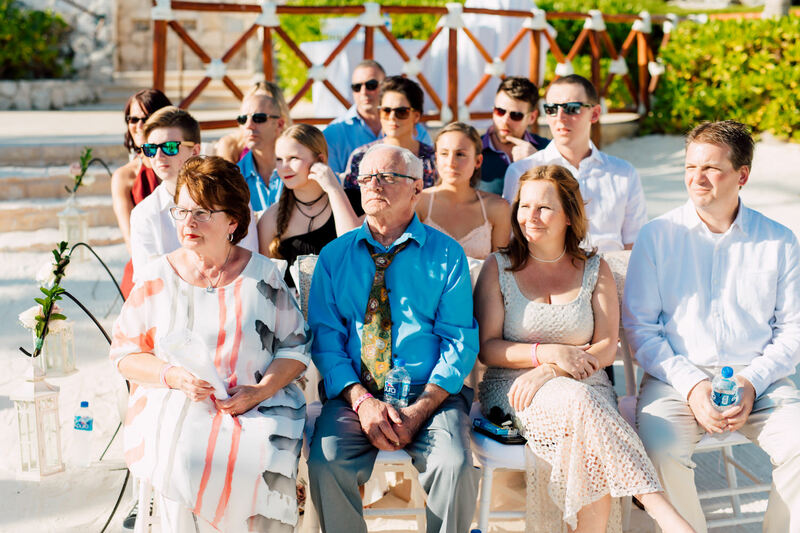 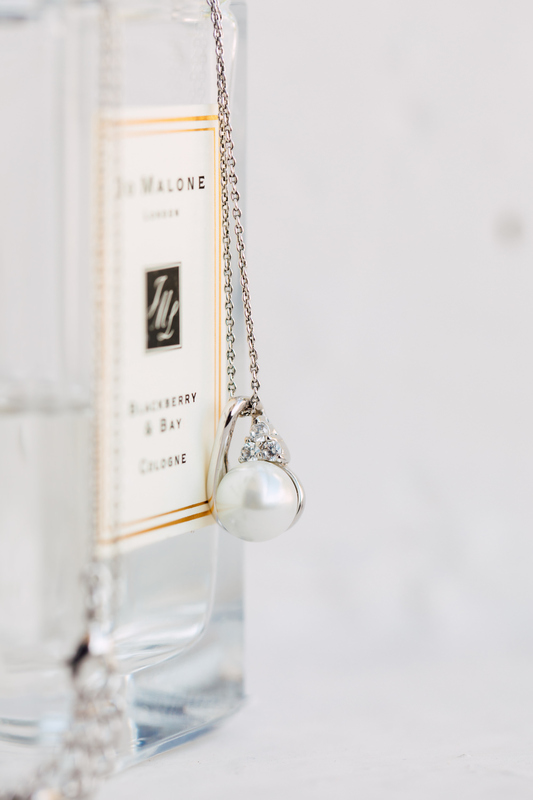 They got married just beside the ocean, with carefully chosen friends and family as the audience of their union. 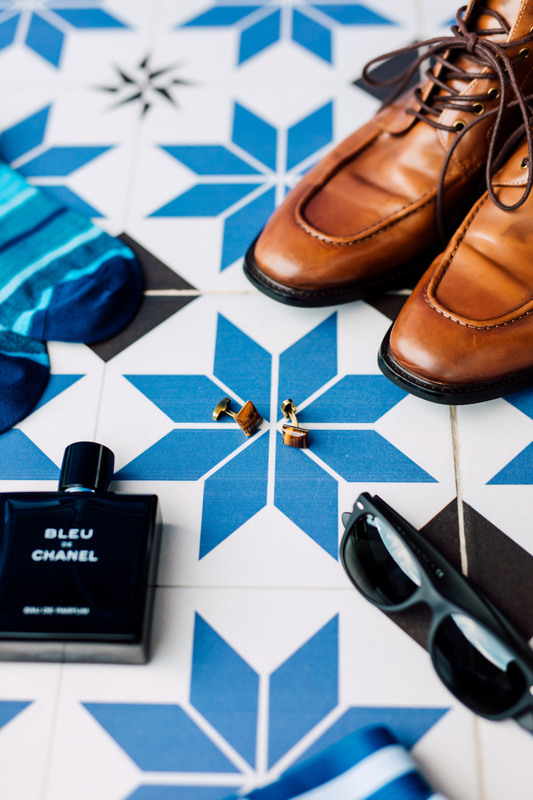 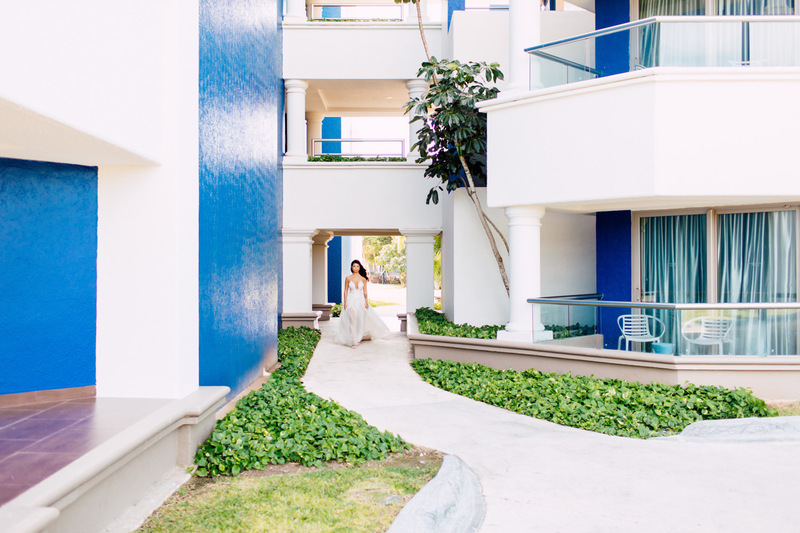 Amongst blue walls and intricately-designed tile floors, theirs was a perfect romantic getaway, away from the hustle and bustle of city-living. 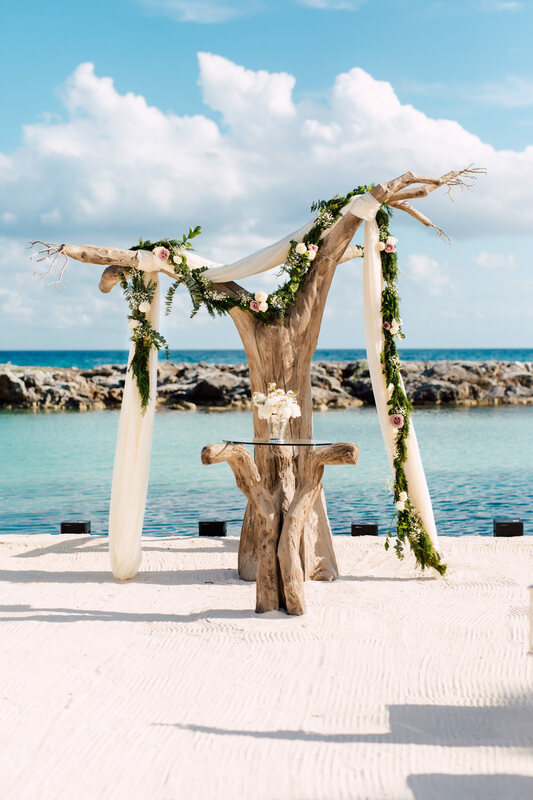 Their wedding canopy was taken from a bark of an old sun-washed tree, with white silk and wedding florals hanging by its branches. 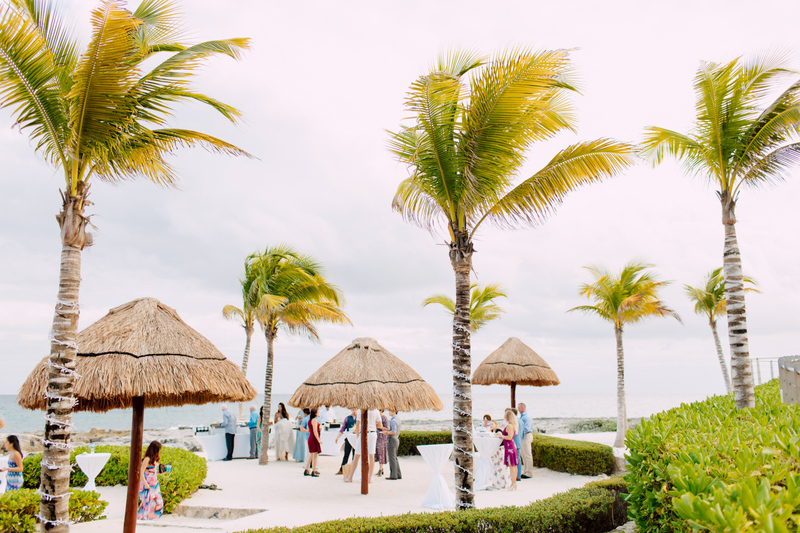 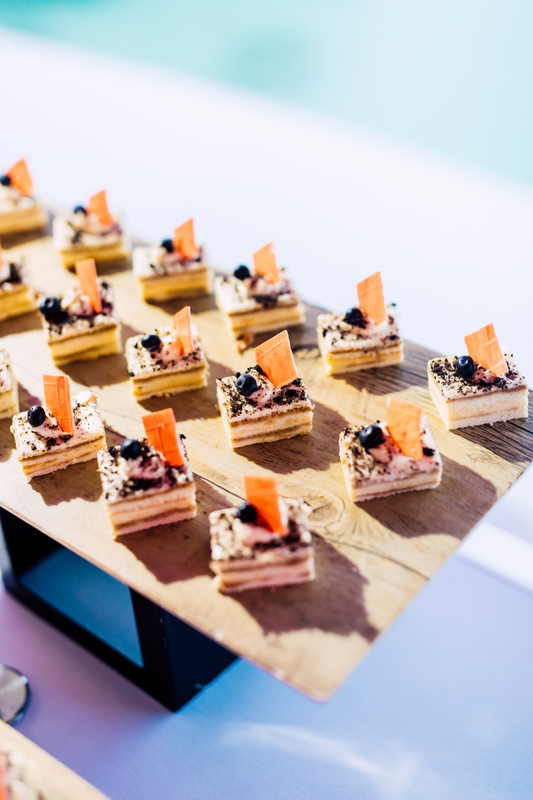 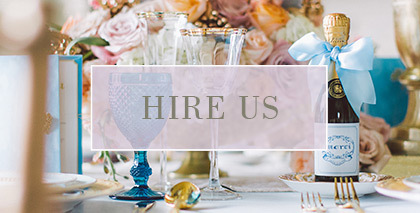 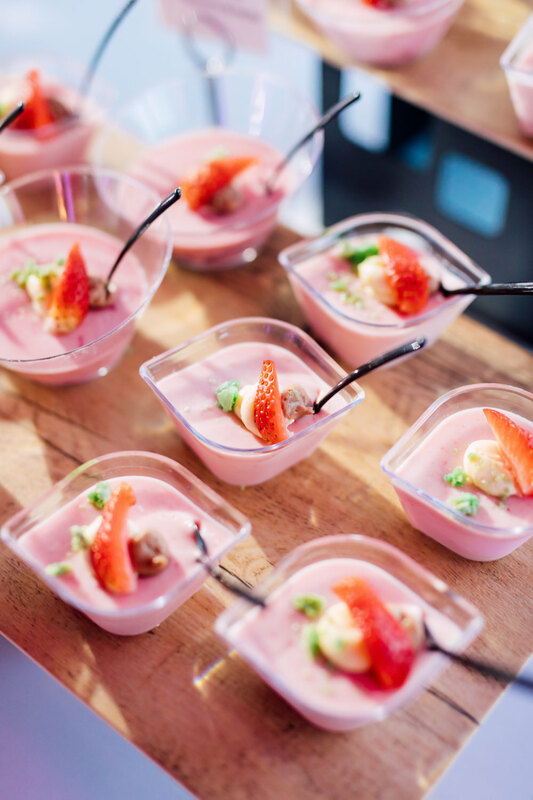 The place was designed as simply and naturally as possible, with soft and organic elements that were surely hand-picked to fit the desired theme of their wedding. 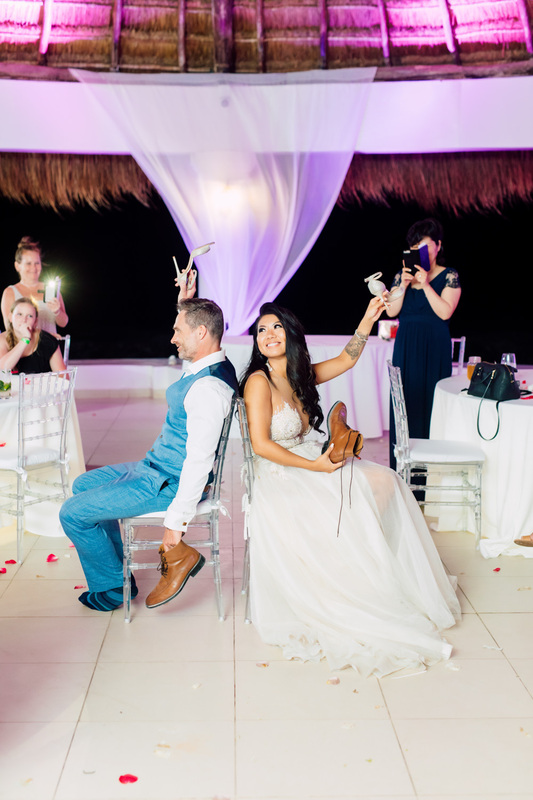 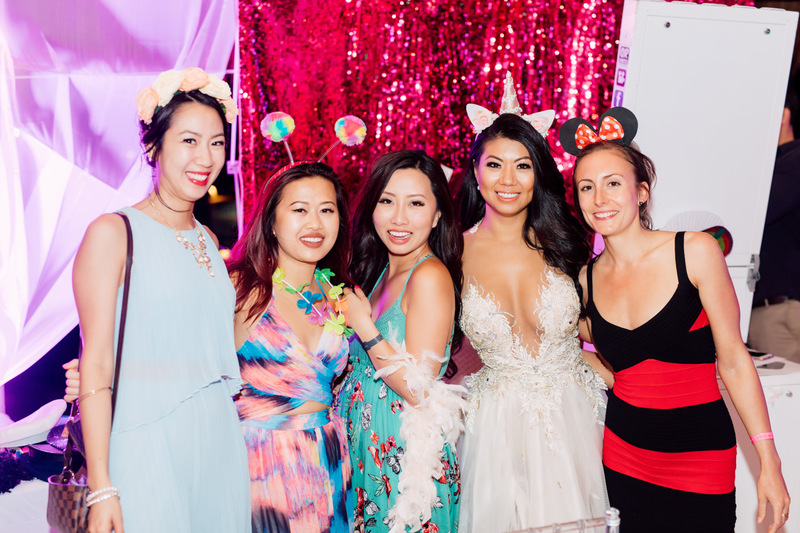 The whole celebration took place at the Hard Rock Cafe resort, where they were able to relax, play and party for a few days. 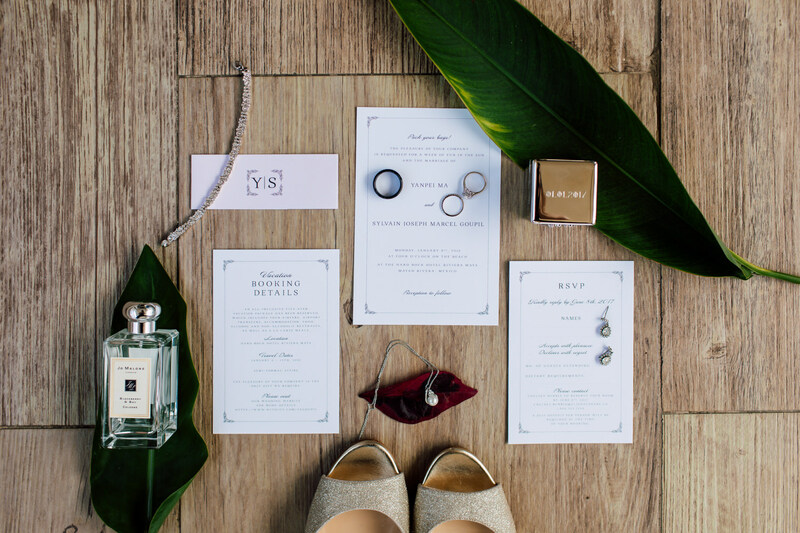 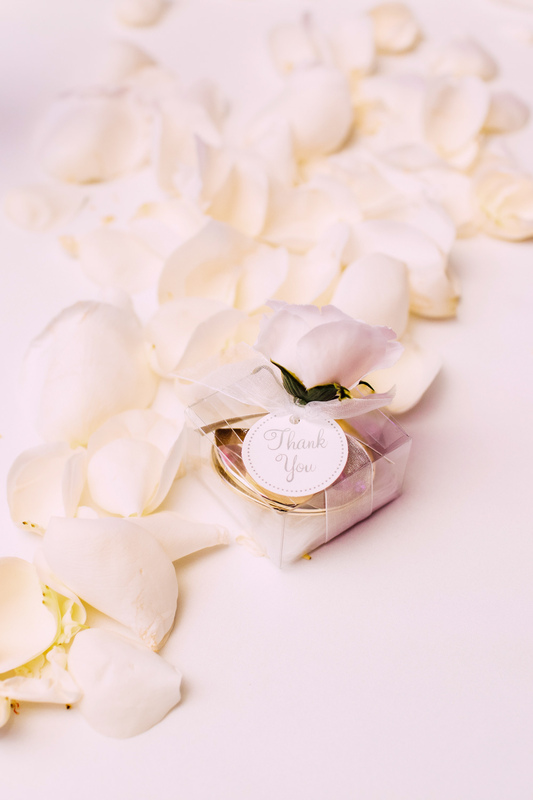 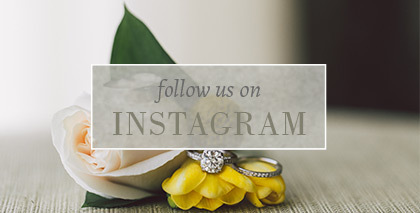 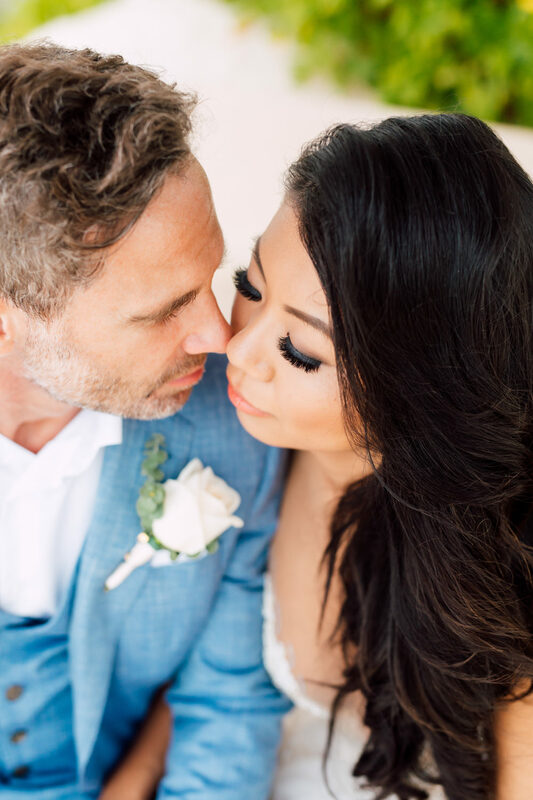 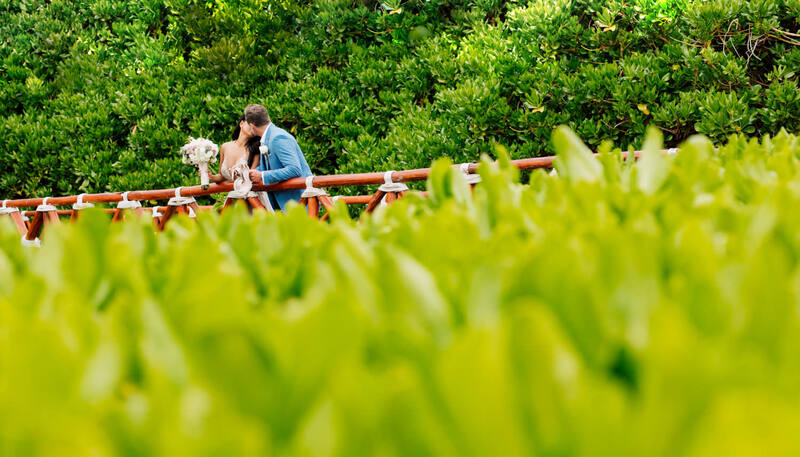 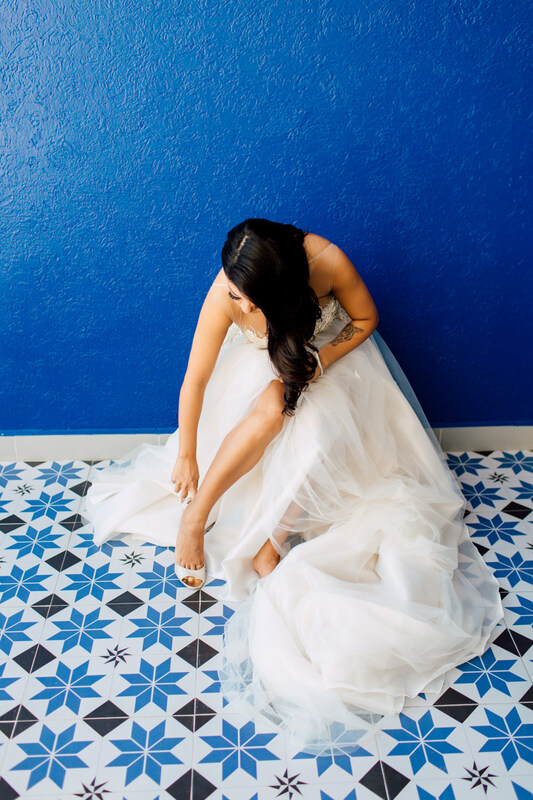 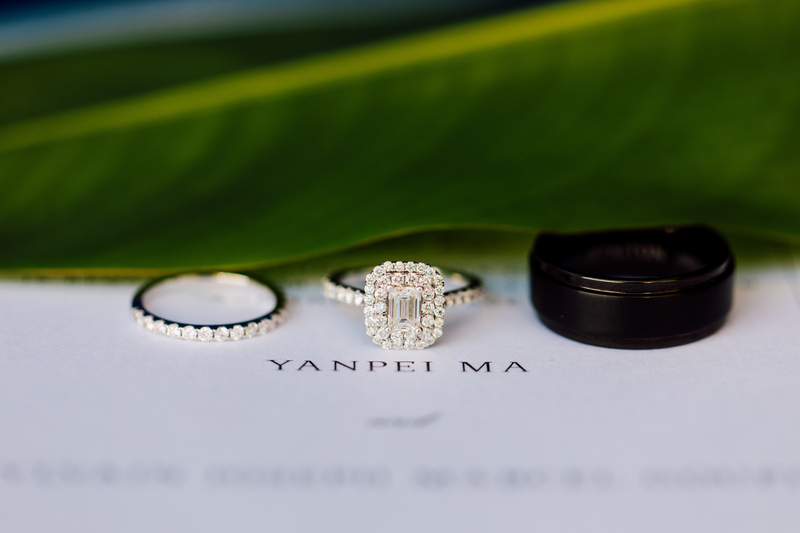 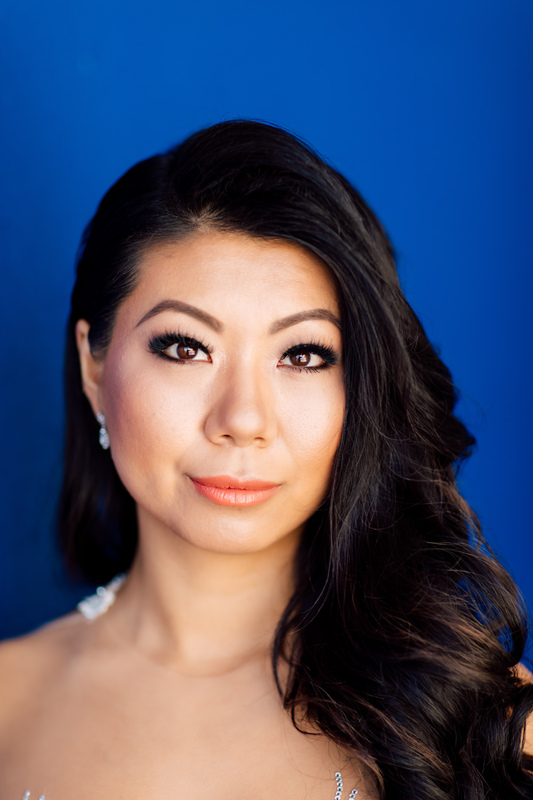 Yan and Sylvain’s wedding truly mirrored the simplicity and beauty of the couple.